Mr. Justice Stanley Kershman presided over the hearing of final submissions at the Belleville Courthouse. The turn-out was excellent with Mayor Quaiff, Councillor Ferguson, Wind Concerns Ontario President Jane Wilson and about 75 County residents attending. In fact, the Court Clerk was forced to find a larger courtroom to accommodate the crowd. APPEC legal action against the Independent Electricity System Operator (IESO) and WPD White Pines Wind Inc. will be heard on January 29, 2018 at the Belleville Court House starting at 2:00 pm. January 24, 2018 at 10:30 a.m. at the Sophiasburgh Town Hall, 2771 County Road 5, Demorestville. The purpose of the Pre-hearing Conference is for interested persons who would like speak at the hearing to apply for status either as a Party, a Participant or a Presenter. Please click here if you are interested in finding out more about seeking status at the hearing and click here to view the ERT Notice of Pre-Hearing Conference. February 12, 2018 at 10:30 a.m. at the Sophiasburgh Town Hall. The most effective way of showing the Superior Court and the Tribunal of the level of community concern with the White Pines wind project is with your presence. The Preliminary Hearing for APPEC’s appeal to the ERT (Environmental Review Tribunal) has been set back a week or so. We will let you know the new date as soon as we can. If you would like to find out more about our ERT appeal please click here. This link will take you to the Environmental Registry EBR # 013-1862 Amendment to the Renewable Energy Approval for WPD White Pines Wind Inc., which was updated earlier this week to include APPEC’s grounds for appeal. It was a packed house on County Road 10 on Monday night as close to 100 Prince Edward County Residents showed up to discuss the latest about the controversial wind turbine project. Many are not pleased with wpd’s White Pines Project that was first proposed in 2009. The original project wanted 29 wind turbines built. Now the plan is to build nine, near the south shore of Milford. It’s been a busy time in the County and a lot has been going on as of late. At a Special Council Meeting on August 31, council voted unanimously to withhold issuing permits to WPD until all information and documentation is provided. Two Town Halls have been held in Milford on September 5th and 18th, facilitated by Councilor Steve Ferguson and attended by Mayor Quaiff, several PEC Councilors, CAO James Hepburn, Commissioner Robert McAuley and other PEC staff. These town halls have helped inform County residents of current developments related to WPD’s starting construction. Most recently Council met on September 19th for another special meeting of the Committee of the Whole to discuss WPD’s Amended Road Users Agreement. Once again, Council voted unanimously to withhold consent until all relevant information has been provided. All of these meetings have been filled to capacity and covered by local Media as well as Quinte News and CKWS Kingston. As those who attended the meetings this week already know, WPD commenced vegetation clearing and grubbing at wind turbine sites T06, T08, T09 and T10 two days ago, on Monday, September 18th. Bulldozers and backhoes have cleared vegetation and removed trees and brush in Blanding‘s Turtle habitat. While the Renewable Energy Approval states that construction in Blanding’s turtle habitat “shall only occur between October 15th and April 30th”, WPD is using a clause that permits construction activities that are “unavoidable”. WPD is literally making a mockery of the Attorney General’s ERT, the Ontario Environmental Protection Act (EPA), the Renewable Energy Approval and the PEC community. This is shameful corporate behavior and is also likely illegal. Mayor Robert Quaiff and MPP Todd Smith are working at contacting multiple Ontario government agencies to put a stop to the construction activities at these sites. We will keep you appraised of the status of the clearing activities and anything else being done to stop the WPD White Wind Project and the 9 remaining wind turbines. On a lighter note, we would like to remind members of the planned Saturday, September 30th Gibbins Farm Auction, a South Shore Appeal Fund fundraiser. 1078 Royal Road. Again, to save auction costs we need volunteers for set up and other jobs for Friday afternoon (1:30) and Saturday morning 7:00 am. Please contact Gord at gibbins@optimumre.com. South Marysburgh Councillor Steve Ferguson invites you to attend a town hall meeting to provide an update to the public about the wpd White Pines wind project. This meeting is to provide information about the project and to answer questions about the project’s implications to Milford and the surrounding area. Mayor Robert Quaiff, members of municipal staff, and others will be attending to answer questions. Please plan to attend! And please help spread the word by circulating this message as you see fit! In celebrating the positive findings it should not be lost that, given its mission, APPEC cannot be pleased with the ERT decision regarding the other 9 turbines. We will consider our options after other factors unfold and consultation with our legal counsel. Also, most of these 9 turbines could be impacted by the decision in the recent Heritage Judicial Review. The Environmental Review Tribunal (ERT) has issued a final decision on the White Pines Wind Project which protects the South Shore. The ERT has removed 18 of the Project’s 27 turbines (T12-T29), which leaves only 9 turbines in the Project. The 18 removed turbines were all located on the South Shore, basically those turbines which were proposed to be located south of Royal Road. Please click here to read the full ERT Decision. We are pleased that the ERT has made a decision that will keep the South Shore turbine-free. This is clearly a victory for the survival of the Blanding’s turtle and many other animal and plant species found there. Although the ERT decision was specifically concerned with protecting these turtles and their habitat we are very pleased that indirectly as a result of this decision there will be no turbines in the Prince Edward County Important Bird and Biodiversity Area. This ERT decision validates years of efforts to save the County’s natural heritage along the South Shore and a great many people were involved in bringing us to this point. Our sincere thanks to everyone who has contributed to this effort, most particularly our members and supporters who made the appeal possible through their donations to help cover legal costs. Our greatest appreciation for our Council’s strong support. Our deepest gratitude to Eric Gillespie and his associates who have fought so long and hard for environmental justice for the South Shore. No one deserves more thanks – or more credit – for this ERT win than Eric. We are also proud to share this success with PECFN who led the way with their ERT win at Ostrander Point. Going forward our main concern will be paying for the ERT and other legal costs and possible appeals of the decision. For now, we ask that you join us in celebrating the end of our successful appeal with a donation to help us cover our legal costs. Donations can be made to the South Shore Appeal Fund OR to the County of Prince Edward – Legal Appeal Fund if you wish to make a donation and receive an official income tax receipt. More information on how to make a donation is provided at the end of this message. We are delighted – and greatly relieved – that the ERT ultimately made a sound decision. Donations to the SSAF can be made by cheque or PayPal on our website http://www.appec.ca Please make your cheque out to the South Shore Appeal Fund and mail to Alliance to Protect Prince Edward County, P. O. Box 173, Milford, ON K0K 2P0 nb: Donations to the SSAF are not tax-deductible. If you wish to make a donation and receive an income tax receipt please follow the directions below. If you wish to make a donation and receive an official income tax receipt please make your cheque out to the “County of Prince Edward – Legal Appeal Fund” and mail to Shire Hall, 332 Main St. Picton, ON K0K 2T0 or drop your cheque off at Shire Hall during office hours Monday to Friday 8:30 am – 5 pm. The name and address on the cheque should be the name and address that you wish to appear on the official income tax receipt that will be issued. If your cheque has incomplete information on it (for example your name is printed on the cheque but there is no address) please provide this missing information in a brief note accompanying your cheque. You will receive an income tax receipt in the mail. WPD was actually destroying habitat and clearing vegetation at two separate sites today. In addition to the site north of Royal Road and east of Lighthall, there was activity south of Hilltop Road just west of Brewer’s Road. Photograph shows trek of heavy equipment north of Royal Road and east of Lighthall. Photograph shows entry area and tracks from Hilltop Road leading towards Lake Ontario. Clearing equipment could be clearly heard but was out of sight and closer to the shore. On April 13th at 3:57 p.m., the day before Good Friday and the long Easter weekend, legal counsel for WPD and the White Pines Wind Project sent a brief email to the Environmental Review Tribunal (ERT) stating their intent to proceed with vegetation clearing of areas other than those identified as Blanding’s turtle spring foraging habitat, commencing Wednesday, April 19th. Within the same email WPD also requested a motion date to hear their motion to lift the existing Stay that APPEC obtained last year, which prevents WPD from vegetation clearing in Blanding’s turtle spring foraging habitat. WPD has apparently decided to get started on its Project rather than wait for the ERT’s final decision on the fate of this Project, following the ERT’s finding a year ago February that this Project will cause serious and irreversible harm to Little brown bats and the Blanding’s turtle. The ERT’s final written decision was expected before the end of March and is due anytime. It appears that WPD is flaunting the entire appeal process with its refusal to wait for the ERT’s final decision. We believe that these proposed and premature construction activities illustrate the willingness of wind energy developers to risk environmental damage in order to advance their increasingly unwanted and unnecessary projects. By the end of Thursday there had not yet been a response from the ERT to WPD’s email. Government offices are closed Good Friday and Easter Monday, leaving the ERT only one day (Tuesday, the 18th) to respond. Power developer announcement it is about to clear land which is habitat for an endangered species is an attempt to force the Environmental Review Tribunal to issue a decision on the Prince Edward County wind power project, and proposed “remedies” for species at risk. Click here to read the article. A volunteer Prince Edward County organization fighting to stop a big wind turbine project believes the hopeful wind farm developers are jumping the gun on the project. Click here to read the article. It was a full house at the Wellington Community Centre on the last day of the remedy hearing. The hall began to fill an hour before the start time with a contingency of office workers from WPD’s head office in Mississauga led by WPD President Ian MacRae and some supporters of the project that showed up early clearly hoping to dominate the proceedings in numbers. However by 10 AM they were out-numbered by APPEC and PECFN members and supporters. The hearing started with a motion from APPEC’s legal counsel Eric Gillespie for a ruling from the Tribunal. APPEC felt that portions of both WPD and the Directors’ replies were improper. Mr. Gillespie cited examples in WPD’s reply submissions of bolstering, repetition, misquoting APPEC and numerous attempts to restate issues to get another “kick at the can.” Mr. Gillespie asked that all these types of submissions be struck. The Tribunal declined to make a ruling, noting that a significant amount of time would be needed to go through WPD’s submissions. However, Ms. Valiante said that the Tribunal would bear in mind the propriety of the marked paragraphs. Ms. Valiante outlined the process for the hearing of closing submissions. As previously agreed, the respondents together had one hour. The appellants would take an hour and fifteen minutes. The respondents would then have fifteen minutes to reply. WPD’s legal counsel Patrick Duffy began with submissions on the burden of proof. Mr. Duffy stated that WPD has mitigated for the harms found by the Tribunal in its February decision and having done so the onus now shifts to APPEC. When Tribunal Co-Chair Hugh Wilkins asked Mr. Duffy to elaborate, Mr. Duffy repeated that the burden of proof is now on APPEC. According to Mr. Duffy APPEC must prove that the remedy proposals will cause serious and irreversible harm. Mr. Duffy then focussed on WPD’s plans to mitigate harm to Blanding’s turtles by compacting 15 kilometres of access roads to deter nesting turtles on these roads. He also discussed WPD’s plan to restore 8 kilometres of upgraded seasonal roads to pre-construction standards to address the Tribunals’ concerns about increased traffic and several others mitigations stated in previous filings. Mr. Wilkins asked Mr. Duffy whether there had been a Road Use Agreement (RUA) with the County and if so was this in evidence. Mr. Duffy clarified that there was nothing in evidence. However he noted that WPD is committed to following its Mitigation Plan and does not anticipate any objections from the municipality regarding work on municipal roads. WPD’s legal counsel James Wilson, outlined key mitigation measures for the little brown bat, including a 5.5 m/s cut-in speed from May 1 to September 30 at all turbines for the lifetime of the project. Sylvia Davis, legal counsel for the Director, stated that the Director supports the submissions of the Approval Holder with the exception of their submissions on Dr. Brock Fenton. Mr. Hirsch referred the Tribunal to the Gruver Summary that WPD relies on for its claims of an 87% reduction in bat fatalities by increasing the cut-in speed to 5.5. m/s. Mr. Hirsch noted that this 87% reduction was with a cut-in speed of 6.9 m/s, much higher than the 5.5 m/s proposed. Mr. Hirsch discussed recently acquired data of bat fatalities at wind projects in Ontario from government documents obtained through a Freedom of Information request. Mr. Hirsch noted 26 little brown bat fatalities reported at the Mohawk Point Wind Project in 2012. As summed up by Mr. Hirsch, Stantec is proposing to experiment on the little brown bat population in Prince Edward County. He noted that the target of this experiment is an endangered species. Mr. Hirsch asked the Tribunal to consider the Statement of Environmental Values including the ecosystem approach and the fact that the Province has changed direction and is no longer supporting large wind energy projects. Eric Gillespie began with the issue of the Tribunals’ jurisdiction. Mr. Gillespie noted that APPEC is relying on the remedy hearing for the Settlers Landing Wind Project (SLWP) where mitigations were dealt with in a different way. He noted that at this hearing on the White Pines Wind Project, the Director has provided zero evidence that he has even considered the proposed mitigations. There is no possible way the Tribunal could “stand in the shoes of the Director” at these proceedings and in fact to do so would be an error of law. The correct remedy is to revoke the REA. Mr. Gillespie noted that all Parties have agreed that the onus is on WPD. However WPD is now trying to reverse the onus and put it back on APPEC when it is the Approval Holders’ very mitigations that will cause harm. Mr. Gillespie clarified that the onus is on WPD to address the Tribunal’s findings and show that no potentially serious adverse effects will follow from their mitigations. Mr. Gillespie pointed to a number of holes in the Approval Holders evidence. The Gruver survey is not published or peer-reviewed and was created by a wind company consultant. The survey gives no information on project size, turbine size, location, topography, wind speed and other variables. Also, and most importantly, the survey fails to show that cut-in speeds post White Nose Syndrome are effective. With respect to the Approval Holders’ Blanding’s turtle mitigations Mr. Gillespie noted that compacting over 15 kilometres of access roads by up to 95% will radically alter hydrology in areas already prone to flooding. Mr. Gillespie also noted the potentially disastrous results of planting alien vegetation in a sensitive ecosystem. The Plans the Approval Holder has produced at this hearing are completely untried and untested anywhere in the world, let alone on the County’s South Shore. Mr. Gillespie noted that APPEC’s expert witness Tom Adams is highly qualified to provide evidence on the province’s energy requirements. Mr. Adams has provided evidence that the White Pines Wind Project is not needed (the province has more than enough energy to meet demand for the next ten years) and that the energy produced from this project would be a “drop in the bucket”. Mr. Gillespie noted that Mr. Adams’ evidence was not contested by either the Approval Holder or the Director. Mr. Gillespie clarified the Director’s position that economic and social considerations need to be considered even if they are secondary to the environment. Ms. Davis restated the Directors’ position that SLWP had a wider range of changes. She also noted that Mr. Hirsch’s submissions concerning the FOI request are not in evidence. Mr. Wilson restated the mitigation process for bats in simple terms: line up wind speed, curtailment and the impact on little brown bats. He noted that the Gruver survey does exactly that. Mr. Duffy began by reminding the Tribunal of some aspect of their mitigation at which time a series of objections were raised by Mr. Gillespie on WPD’s conduct in Reply. Mr. Gillespie again asked the Tribunal for a clear ruling on Reply Submissions but the Tribunal once again deferred the matter. The Tribunal closed on a solemn note with no indication of a decision date other than that it would come before April. Set Aside January 27, 2017 – last day of ERT hearings on White Pines Wind Project – Wellington Community Centre 10 am. t long last we are reaching the end of the remedy hearing. On Friday, January 27 APPEC and the other three Parties at this hearing will be making their final submissions to the Tribunal. We hope that you will attend this important event to show your support. Over the past ten months of this remedy hearing Eric Gillespie and his associates have given their all to ensure that APPEC’s interests are protected and our best case will be put forward. They have put a staggering amount of time and effort into this case. Eric is deeply committed to convincing the Tribunal that the White Pines Wind Project will cause serious and irreversible harm to Little brown bats and to the Blanding’s turtle and the new mitigations that have been added will do nothing to prevent this harm from occurring. Together with PECFN (the Prince Edward County Field Naturalists), our partner in this appeal, let’s show our support on January 27th for Eric and his team and our gratitude for all the hard work they’ve done, for our ERT appeal of the White Pines wind project, and for the County’s South Shore. It is extremely important that the ERT panel sees how important their decision is to the people of Prince Edward County. It is felt that a strong show of attendance made a difference at the Ostrander Point hearings. Please come out on this final day of ERT Hearings. Then we will await a decision. In mid-November the Tribunal issued its decisions on our motions. While some were unsuccessful, overall we were encouraged by the results and with two decisions in particular. We are very pleased that the Tribunal has ordered Dr. Reynolds, WPD’s expert on bats, to return for further cross-examination. The Tribunal is also permitting APPEC to produce documents through a qualified expert witness on the government’s recent policy reversal on renewable energy. We are fortunate in having Tom Adams as our qualified expert witness. Mr. Adams has worked for several environmental organizations and has served on the Ontario Independent Electricity Market Operator Board of Directors. As an energy and environmental advisor and researcher he has given expert testimony before many legislative committees and regulatory tribunals in Canada. Among other things Mr. Adams will testify that Ontario currently has a significant oversupply of energy (more than 10 years’ worth) and that there is absolutely no need for the White Pines project in order to meet Ontario’s energy needs now or anytime in the foreseeable future. He will also explain to the Tribunal that while White Pines is a relatively small project comparatively speaking, that these types of projects have disproportionately large negative impacts in terms of financial and other consequences. This new phase of cross-examinations is taking place this week but could go on longer depending on how many roadblocks opposing legal counsel for WPD and the Director try to put in our way. Last week the Tribunal issued a new schedule for the remainder of the hearing. According to this schedule oral submissions will be heard in the County on January 27, 2017. As we close in on the finish line donations to the South Shore Appeal Fund are needed more than ever. Donations by cheque may be mailed to APPEC, P.O. Box 173, Milford, ON K0K 2P0. Please make cheques out to the South Shore Appeal Fund. We invite you to attend one or even both of our back-to-back fundraising events on December 9 and 10th. All funds raised from these events will be going to the South Shore Appeal Fund to stop the construction of the White Pines wind project. A festive evening is being planned on FRIDAY, DECEMBER 9 starting at 7 pm as a fundraiser for the South Shore Appeal Fund. In the spirit of the holiday season there will be exceptional wine, delicious food, entertaining conversation and an update of the status of the fight against the White Pines wind project by our legal counsel, Eric Gillespie. Eric will be providing some insights of the legal case not previously released and will be able to answer questions in a small intimate one-on-one relaxed and confidential setting. In the spirit of donating to the save the south shore appeal fund, Exultet will be contributing all the wine for the evening and gifts for the donations. Exultet has exceptional award-winning wine that they are donating. We are asking for your financial help as well as your festive mood to attend the party. The minimum donation to attend is $250 per person. Individual donations of $5,000+ will receive a very rare offering of Exultet futures – their 2015 “the Blessed Frost” of which only 100 bottles total were produced (plus the 2013 Blessed + the $250 Royal Road Recipe wines). We would like to have an understanding of who will be attending. We ask that you let us know if you plan on attending and the amount of your pledged donation by emailing contactus@appec.ca by December 7th at the latest. Please note that All donors will receive the gifts described above whether they attend or not. A Christmas Bazaar & Bake Sale is being hosted in support of the South Shore Appeal Fund. Here is a great chance to buy some unique gifts or items for your home, including an almost new children’s wagon, a decorative wooden train set, a plush Christmas Santa, garland, Christmas labels & cards and so much more. Make sure you arrive early as many of the items are one of kind. Get ahead of your Christmas shopping by buying some homemade baking for the holidays. There has been little to report since the Environmental Review Tribunal suspended the remedy hearing schedule on October 5, 2016. This was done to give the Tribunal time to adjudicate a number of motions that were raised by our legal team and submitted to the Tribunal. (A summary of APPEC’s motions can be found in the previous posting). Since October 5 there have been response statements to our motions from WPD White Pines Inc. and the Ministry of the Environment and Climate Change followed by more APPEC reply statements. There has been a lot of back and forth of documents. Our legal counsel has made some very convincing arguments and we look forward to some decisions. In one of the motions we ask the Tribunal to recall WPD’s three witnesses for further cross-examination. In this month’s issue of The South Marysburgh Mirror we explain in some detail why this motion was deemed necessary. Please click HERE to read APPEC’s article on page 9. While we are looking forward to some decisions on the motions we are also cautious, frustrated and concerned with this Tribunal’s ability to fairly provide sound decisions without bias towards APPEC. One of our motions actually dealt with this frustration and concern. The board has learned from experience that nothing about this Tribunal can be taken for granted. But at the end of the day how the Tribunal decides to deal with our motions will determine how APPEC moves forward at the remedy hearing. If the Tribunal’s rulings on our motions appear wrong in law we will take any legal action that is necessary in the courts. The motions are all sitting with the Tribunal awaiting decisions. There has been no word from the Tribunal since October 5 but that could change anytime. In recent weeks we have received several informative articles and reports from members. One article discusses the decision of the Saskatchewan Ministry of the Environment to deny approval to a wind project due to migratory bird activity near the project site. We also received the annual report from Ontario’s Environmental Commissioner which contains disturbing data about the declining numbers of endangered bats. Recent estimates suggest that roughly 5,200 endangered bats are killed every year at wind turbine projects in Ontario. In a footnote to that report it is noted the Little brown bats make up the majority of those fatalities (11.7 per cent). Although no pre-construction surveys for bats were done by WPD we are equally sure that the PEC South Shore is a significant risk site and that WPD has not adequately mitigated the risk to Little brown bats at its project site. We would like to thank everyone who has sent articles, both recently and throughout this past year. We would also like you to know that this information is always followed up on, and where appropriate provided to our legal counsel Eric Gillespie. It is worth noting that APPEC filed its appeal of the White Pines wind project on July 31, 2015 and the Environmental Review Tribunal issued its findings of serious and irreversible harm to the Blanding’s turtle and to Little brown bats on February 16, 2016. Our appeal was filed and completed within six months. Nine months later, however, APPEC is still incurring legal costs and expending great amounts of time and effort at a remedy hearing that serves WPD’s interests alone. It is unfair to say the least that APPEC was given six months to prepare and make its case while WPD has been given an excessive amount of time to do this at the remedy hearing and that APPEC is in the position at this point of having to foot the bill not only to stop a wind project from going ahead but also to protect Ontario’s at-risk species. The APPEC board also feels the need to point out that this ERT appeal is the only legal action that is preventing WPD from starting construction on the White Pines wind project. As noted above, there is a lot of time and effort being extended on this appeal. One would be surprised on the thousands of dollars to cover costs including legal fees, witness fees, transcripts, document reproduction costs and many other expenses. We ask that you consider the high costs for this appeal and contribute to the only appeal that is keeping the White Pines wind project from being constructed. On October 5 the Tribunal suspended the remedy hearing schedule in order to adjudicate a number of motions from APPEC. The Tribunal’s rulings on the motions could be days, weeks or even a month-plus away. This motion is for an Order of the Tribunal to remit the REA (Renewable Energy Approval) for the White Pines wind project back to the Director of the Ministry of the Environment and Climate Change (MOECC) for reconsideration in light of the amendments proposed by wpd. A large number of significant amendments to the Project have been proposed. As a result this Project can no longer be said to be the Project “as approved” by the Director. Affidavits from witnesses for wpd and the MOECC raise issues that as a matter of law could only be properly raised at the main hearing. In effect both wpd and the MOECC are seeking to re-litigate large portions of the hearing that have already taken place. 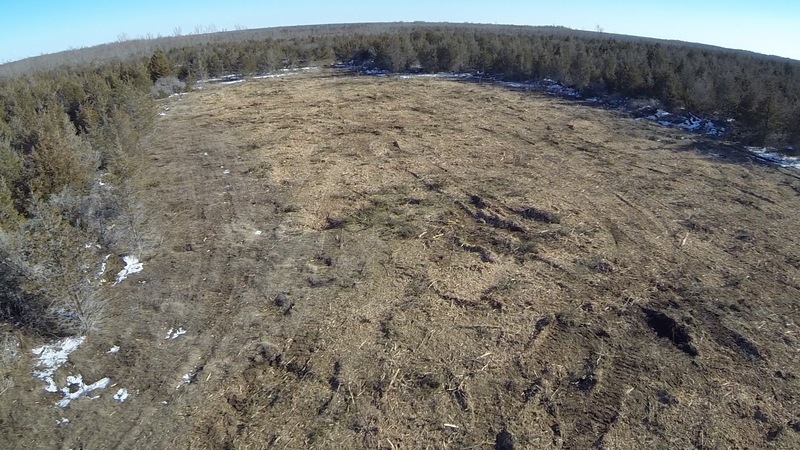 On April 5, 2016 APPEC obtained aerial photographs, taken by a drone, of the large-scale clear-cutting at T16 and T17. The devastation of the construction from only two sites clearly demonstrates just how pervasive and severe the construction process actually is. This motion is for an Order to admit this new evidence pursuant to the Tribunal’s Rules 233 and 234. APPEC requests an Order from the Tribunal directing that wpd and the Director provide any documentation in relation to their witnesses that were considered by these witnesses in the formulation of their opinions for the remedy phase. The hearing as contemplated by the Tribunal cannot be completed within the remaining hearing time under O. Reg. 359/09 s.59 (i.e., the Green Energy Act). This motion is for an Order that the presiding Tribunal members be recused. APPEC respectfully submits that there exists a reasonable apprehension of bias in this matter. 7. Motion re Refusals on Cross-Examination, etc. This motion is for an Order of the Tribunal directing wpd witnesses Dr. Scott Reynolds, Khlaire Parre and Shawn Taylor to re-attend to answer questions arising from their cross examinations on September 29, 2016. APPEC seeks an Order of the Tribunal admitting into evidence two studies on Little brown bats referred to by Dr. Fenton that he authored in 1969 and 1970 in response to questions during his cross examination on September 28, 2016. Two scientific papers presented to Dr. Reynolds, wpd’s expert on bats. The 2016 report was only accepted for publication in June of 2016, and even Dr. Reynolds was not aware of it. The announcements put to Klaire Parre, wpd’s Director of Renewable Energy Approvals, regarding the current supply of energy in Ontario and the decision of the Ontario Government that was announced two days before to not seek to procure any additional power from largescale renewable energy projects. Photos from Amherst Island that were put to Shawn Taylor, wpd’s ecological and construction mitigation expert, that deal directly with Blanding’s turtle and the issue of areas where they are likely to travel, notwithstanding compaction, etc. APPEC legal counsel Eric Gillespie questioned Mr. Taylor on a series of exhibits from the Amherst Island ERT, where Mr. Taylor recently testified for the wind developer. Mr. Gillespie’s questions were repeatedly blocked by wpd’s legal counsel, Mr. Duffy who indicated that wpd would object to any document that Mr. Gillespie referred to from the Amherst Island ERT. Mr. Duffy also directed their witness, Mr. Taylor, to not respond to any questions relating to Amherst Island, even the simple question whether one of the issues that came up at those hearing was the location of Blanding’s turtles on the island. The transcript shows twelve refusals by wpd during Mr. Gillespie’s cross-examination of Mr. Taylor. Mr. Gillespie noted that there was no mechanism for dealing with refusals and motions and asked that the cross-examination be adjourned as it would not be productive to proceed with Mr. Taylor at this time. Mr. Gillespie noted that Dr. Reynold’s original affidavit included a 5-volume set of literature references containing 79 studies and reports and told Dr. Reynolds that APPEC has brought a motion asking the Tribunal to strike out evidence. Mr. Gillespie remarked on the difficulty of a cross-examination on what is essentially over 100 documents at this point in this kind of format and with these time constraints. Mr. Duffy told Mr. Gillespie that this would be the only opportunity Mr. Gillespie would have to cross-examine Dr. Reynolds but Mr. Gillespie replied that this would ultimately be up to the Tribunal to decide. In the time available Mr. Gillespie was able to sort out a discrepancy between Dr. Reynold’s affidavit and his Literature Cited list involving two missing papers. Mr. Gillespie also questioned Dr. Reynolds on the paper “Bat Mortality Due to Wind Turbines in Canada”. Mr. Gillespie asked Dr. Reynolds if there was anything in that paper that was inconsistent with his own understanding and that he would disagree with. Mr. Duffy directed Dr. Reynolds not to respond and suggested that Mr. Gillespie ask narrow, more focused questions about the paper. Mr. Gillespie responded to the effect that if we were to do that with the over 100 papers that Dr. Reynold produced we would never get anywhere at these hearings, ever. Mr. Gillespie asked that the cross-examination be adjourned as this was as far as it was possible to go given the time constraints. The transcript shows three refusals by wpd during Mr. Gillespie’s cross-examination of Dr. Reynolds. After confirming Ms. Parre’s position as wpd’s Director of Renewable Energy Approvals, Mr. Gillespie questioned Ms. Parre on the document that had been issued by the provincial government two days earlier entitled “Ontario Suspends Large Renewable Energy Procurement”. Mr. Duffy objected to the admission of this and two other related documents, citing relevance. Mr. Gillespie challenged the timing of the objection, as it was made before Mr. Gillespie had an opportunity to show relevance through questioning of the witness. Mr. Gillespie argued that the relevance was clear enough given the benchmark hearing in the Ostrander Point case, where the Tribunal made it clear that it is completely proper to make submissions around the Ministry’s Statement of Environmental Values (the “SEV”) which includes economic considerations. Mr. Gillespie asked Ms. Parre if she was aware that on the 27th September that the Ontario government announced that it was suspending any further procurement of large energy projects. Mr. Duffy directed Ms. Parre to refuse to answer that question and any other question on that topic. Mr. Gillespie asked that the cross-examination be adjourned as this was as far as it was possible to go with this witness at this time. The transcript shows three refusals by wpd during Mr. Gillespie’s cross-examination of Ms. Parre. Wpd legal counsel Patrick Duffy questioned Kari Gunson, a Road Ecologist, on wpd’s mitigation to remove upgrades to the seasonal roads following construction of the wind project. Ms. Gunson testified that road upgrades will be in place for up to 18 months and will impact at least one active season for Blanding’s turtles. Road upgrades will facilitate use of the roads at increased volumes and speed during this period. However Ms. Gunson explained that this is a different case now. The Tribunal ruling was made before the mitigation to remove the road upgrades was known. At this point both the construction period and the construction impacts are changed from what they were before and it is now known that there will be more construction. With respect to alvar, for example, the Tribunal ruling was made before the impacts of having two construction periods in the alvar ecosystem was known. Ms. Gunson noted that the roads where the upgrades are to be removed are in alvar habitat, and that the impact will be worsened with the employment of the new mitigation measures. The same is also true with hydrology: the impacts on wetlands will be more severe with twice the amount of construction. Ms. Gunson noted that removing road upgrades is highly experimental and not a lot of research has been done on this in contrast with the impacts of bringing heavy machinery into wildlife habitat, where there is a solid base of existing research. Mr. Duffy noted that the mitigation to remove the road upgrades will be subject to the same conditions in the REA that limit construction to certain times of the year. Ms. Gunson replied that her understanding of the REA is that these conditions are to be taken into consideration wherever possible. Ms. Gunson also indicated her support for APPEC’s report on wind project-related tourism and increased traffic on the municipal roads. (click here to view APPEC Tourism Report) Ms. Gunson agreed with Mr. Duffy that the report is not an expert analysis by someone with experience in tourism and that no independent traffic study has been done. Ms. Gunson noted that she did not rely solely on this report as she conducted her own website research and found similar results. Dr. Brock Fenton was questioned by Sylvia Davis, counsel for the MOECC (Ministry of the Environment and Climate Change). Ms. Davis referred Dr. Fenton to his witness statement for the Fairview wind project where he states that the months of the highest activity level for the Little brown bat are August and September. Dr. Fenton indicated that while he believes this to be true there is some bat activity throughout the year and it would be nice to know that we’re reducing the risk to these bats. One of the things that has changed in our knowledge of bats is the extent to which they are active other times of the year and it is becoming more and more evident that Little brown bats are active year-round. The Lausen and Barclay study (2006) in Alberta revealed that bats, even in the dead of a prairie winter, are out flying around. And nobody would have believed that, before that study. Dr. Fenton noted that the Renewable Energy Approval proposes that the bat season is from May 1 to September 30 but no rationale for those dates are given. Dr. Fenton explained that it no longer makes sense to hold certain ideas, such as the idea that you only have to worry about bats around wind turbines until midnight and the idea that it’s only May to September. Data is now showing that this is not the case. For someone who’s saying we only have to worry about bats being at risk from turbines from the 1st of May is misleading, because, in fact, there is bat activity throughout the whole winter. You see the other side of that coin, though, is that from the point of view of threat posed by a turbine, a bat that is flying around a turbine is likely, very likely, they get taken out. And that doesn’t matter whether it’s a January bat or a March bat or an August bat. So if what we’re concerned about is the threat to an endangered species, then I think that it’s better to be cautious and try to prevent little brown bats, for example, from being exposed to turbines. On being asked if he has ever personally done a study on the effects of wind turbines on bats Dr. Fenton indicated that he has not. In re-examination Eric Gillespie, legal counsel for APPEC, asked Dr. Fenton if he could produce a copy of a paper that he referred to during cross-examination. Ms. Davis said that she would object to the admission of this paper unless Dr. Fenton could produce it now. Dr. Fenton was unable to locate a copy after a short break but has agreed to undertake to provide it. At the end of June everything was on track for the remedy hearing. We were encouraged to see our Tribunal members, Marcia Valiante and Hugh Wilkins, endorsing key findings in the Ostrander decision in their June 30 Order including the use of the Precautionary Principle and the ecosystem approach, its finding that harm should be evaluated based on the balance of probability and its finding that the Tribunal can “stand in the shoes of the Director” with full access to the scope of the powers given to the Director under the relevant part of the Environmental Protection Act and other regulations and policies. However on July 12 the Tribunal issued a procedural statement that was highly prejudicial to APPEC. In a July 27 teleconference with the Tribunal identified 11 issues of concern with the process the Tribunal had put forward for the Remedy Hearing, including allowing the Ministry of the Environment and Climate Change and WPD to introduce reply evidence after all APPEC’s evidence was served, filed and cross examined. This process is directly contradictory to the process the courts have established in the Rules of Civil Procedure. The following day the Tribunal suspended its schedule and requested submissions from the parties on process. One of our submissions deals with the “clock stop challenge”. At this point in time there are only four hearing days left. While the ERT is adjourned and technically the clock is stopped, Mr. Gillespie pointed out that legal work is still on-going with submissions, motions, qualifications of witnesses, evidence preparation, disclosure and many other tasks that typically take hearing time. Other submissions will include requesting full disclosure from the Ministry of the Environment and Climate Change. Mr. Gillespie noted that according to the rules the Ministry should have been disclosing information to the Appellants on an ongoing basis these past five months. We are also requesting that the Ministry provides the actual wording in the revised REA up front, at the start of the hearing. This is to ensure a fair hearing, which it clearly would not be if the Ministry and WPD are permitted to revise and add more mitigations “on the fly” during the hearing. At this time there is a big question mark whether it will be an oral or a written hearing. In its July 12 procedural statement the Tribunal only set aside one day for a hearing of final oral submissions in the County with the remainder of the hearing done in writing. Needless to say the remedy hearing is delayed. In the mean time APPEC is reviewing over 300 pages of material from wpd and the Ministry on the Blanding’s turtle and on Little Brown Bats. APPEC will call our own expert witnesses to respond to their proposed mitigations. There will be a full moon on Friday April 22 which could be the first fledging of Whip-poor-will chicks on the South Shore in 2016. Whip-poor-wills use the long hours of light during the full moon to gather insects to feed their young. They nest on open ground near woodlands in order that soon after fledging the young can move into the woods for protection. The parents hunt for prey insects by flying along the open spaces of country roads. Whip-poor-wills return to the same nesting sites every year on Ostrander Point and throughout the South Shore. Their arrival on our South Shore is a forerunner of the Chimney Swifts, the Meadowlarks and the Bobolinks, all species at risk who will start nesting around May 20. 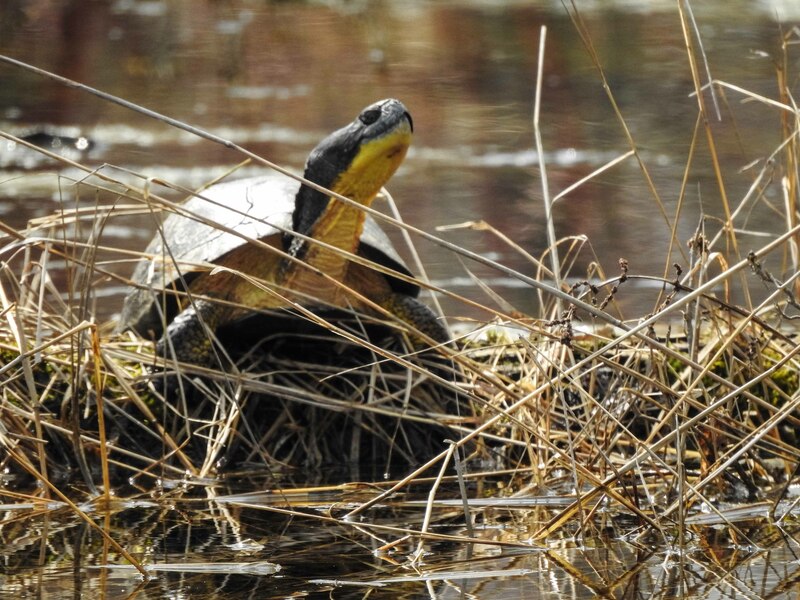 As we have learned from the emergence of Blanding’s turtle one month early, these birds may be arriving and beginning to nest earlier this year. The early emergence of the turtle gave us an incentive to keep fighting for a Stay on the construction clearing that wpd started in April. Now we need to watch for earlier arrivals of other species to their traditional breeding grounds on PEC’s South Shore. This is why it is so important for us to support Lawyer Eric Gillespie and APPEC in the struggle to convince the Environmental Review Tribunal to stop all construction in wpd’s White Pines project areas similar to the Stay that was imposed on the Gilead project at Ostrander Point. The survival of these species at risk is at stake in the fight to Save the South Shore. In addition to the species that stay in PEC to breed and raise young, there are millions of birds and bats migrating through to the Boreal forest in April and May that depend on our South Shore for rest and food. Both the Prince Edward Point Bird Observatory and the Prince Edward County Field Naturalists (PECFN) celebrate international events in May. The 100th anniversary of the International Migratory Bird Treaty will be celebrated on May 14, the opening day of the Spring Birding Festival. Special displays and events at the Bird Observatory and the Picton Library will mark this important anniversary. PECFN is inviting dignitaries as well as birders and naturalists to join us for International Day of Biodiversity on May 22 as we tour the South Shore to enjoy the spring birds and plants. We will meet at 9:00 am at the Elizabeth St parking lot in Picton to carpool and at 9:30 at Point Petre to start the tour. We will travel to the Miller Family Nature Reserve on Hill Top Rd, Ostrander Point, and end up at the Bird Observatory for lunch. When we are not out enjoying wildlife on the South Shore we will be relaxing at the PECFN Fourth Annual Dinner and Silent Auction April 23 at the Curling Club and Riverwalk May 21 at Millfalls House B&B in Milford as we raise funds to will help Eric’s legal team stop the habitat destruction on the South Shore. Please join us. And, if you have a moment, write to Premier Kathleen Wynne at premier@ontario.ca and ask her to use her influence to protect and conserve our South Shore home for the birds and turtles. This long-awaited decision is the outcome of a tremendous effort by Eric Gillespie and Priya Vittal, who have worked tirelessly around the clock since Wednesday when the Tribunal issued its reasons related to our previous stay motion. In giving its reasons the Tribunal indicated that a further motion could be brought to the Tribunal should new evidence become available. Thanks to the efforts of many individuals and above all our legal counsel, this new evidence was submitted this morning in the form of photographs showing the level of destruction, an affidavit from a Blanding’s turtle expert that turtles are out of hibernation and moving across the project, and letters from local and national groups including the Canadian Wildlife Federation. We have many to thank for this welcome news including those who attended the Court of Appeal hearing in Toronto on Wednesday. The concern and public engagement left an impression which may have reached out past the courtroom. The good news is that WPD has been ordered to stop all construction at its project site. In the meantime however our legal bills are growing. Donations can be made by cheque or by PayPal on APPEC’s website http://www.appec.ca. Please make cheques payable to the South Shore Appeal Fund and mail to the Alliance to Protect Prince Edward County, P. O. Box 173, Milford, ON K0K 2P0. On April 4th WPD started clearing vegetation along the South Shore. So far APPEC’s legal actions at the ERT, the Divisional Court and the Ontario Court of Appeal have been unable to stop WPD from their intended destruction. We are now going back to the ERT and repeating a request to be heard on this senseless destruction when the ERT has already stated that this project as planned will cause serious and irreversible. Please click on the following links to view the destruction taking place while the public cries out to the court and governmental officials that are caught up in legal wranglings. Late this afternoon we received word from the Ontario Divisional Court that our appeal of the motion for a stay has been dismissed. By not providing any reasons for dismissing our motion for a stay the ERT has handcuffed APPEC in appealing its decisions. On March 5, 2016 APPEC submitted a motion for a stay stopping all physical activity related to the White Pines wind project. The motion was considered necessary after WPD, the project developer, notified APPEC that it would start clearing vegetation at the project site the following week. APPEC received notice from the Environmental Review Tribunal (ERT) yesterday that the stay motion has been dismissed. The Tribunal did not provide any reasons for dismissal. The tragic irony in this is that WPD will be proposing mitigations at the upcoming ERT to prevent serious and irreversible harm to Blanding’s turtles when it will already have caused that harm in the process of clearing the project site of vegetation, and will be doing so without a permit under the Endangered Species Act. The permit process for endangered species falls outside of the renewable energy approval process. But at the end of the day the Ministry of the Environment and Climate Change as well as the White Pines ERT Tribunal must be held equally accountable with WPD for the destruction of Blanding’s turtle habitat and for any turtles killed, harmed and harassed at the project site. APPEC is currently examining possible courses of action and will use all legal means available to prevent WPD from carrying out its plans. 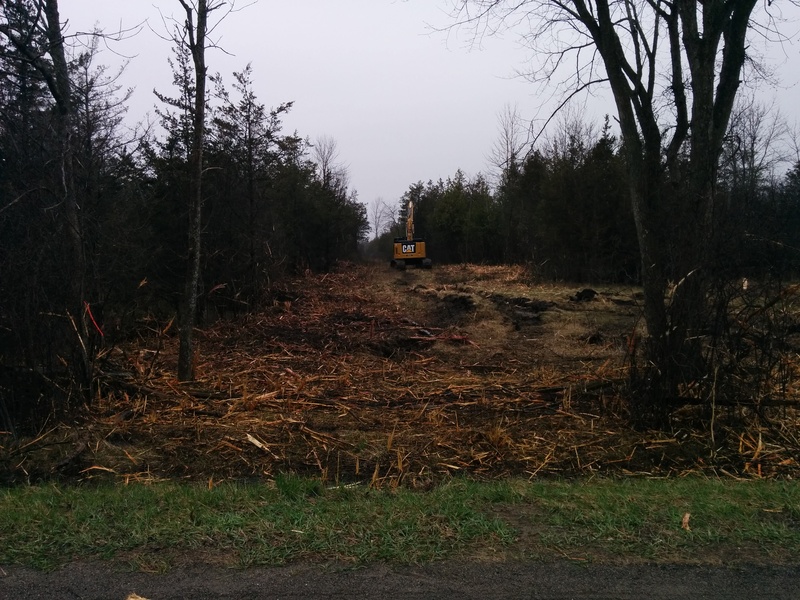 APPEC, the Prince Edward County Field Naturalists (PECFN) and CCSAGE NATURALLY GREEN will continue to work together to prevent this destruction of the County’s natural environment. Click here to view the short decision that the Tribunal made without reason or justification provided to APPEC. APPEC’s motion is still being heard by the White Pines Tribunal panel as the County takes a deep breath in anticipation. 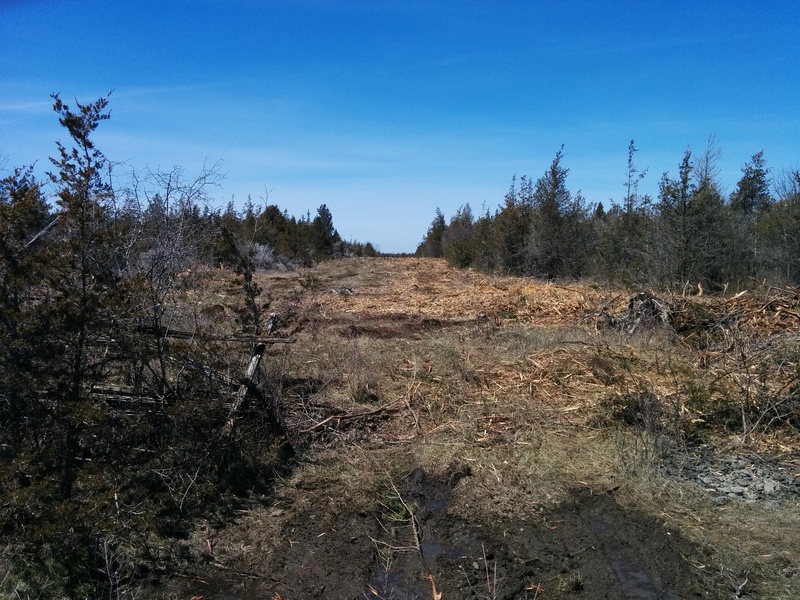 These photos show the many types of vegetation at the project site that would be cleared in order to construct turbines and access roads. This vegetation supports critical habitat for endangered species such as Blanding’s turtles, Whip-poor-wills, Bobolinks and Meadowlarks as well as critical stopover habitat for over 300 species of migratory birds. APPEC is awaiting the Tribunal’s decision on its motion to prevent wpd from going ahead. Within days after the Environment Review Tribunal (ERT) upheld APPEC’s appeal of the White Pines wind project, wind developer WPD said that it would start work on the project on March 14, 2016. APPEC responded quickly with a motion for a stay on any physical activity on the White Pines project site. At this time the Tribunal has still not issued a decision on APPEC’s motion. Other parties have indicated they also wish to have some input in support of the stay motion. The Tribunal has allowed a few days this week for those submissions and replies. Reply documents to the stay motion from the Ministry of the Environment and Climate Change indicate that WPD needs to obtain approval from the Director for a Storm Water Management Plan for the project. In addition, WPD must give the Director 10 days written notice of its intent to start construction. We believe that due to these conditions WPD will not be in a position to commence any activity until after March 19th. We ask residents in the project area to remain vigilant and to report any activity on the project site to us immediately by sending an email to contactus@appec.ca. An Environmental Review Tribunal (ERT) has concluded that the White Pines wind project will cause serious and irreversible harm to two endangered species, Little Brown Bats and Blanding’s turtles. But wpd is saying that it will start vegetation clearing for its wind project anyway. wpd’s decision to start clearing vegetation demonstrates how little respect it has for due process. Rather than wait for the resumption of the ERT hearing where further evidence will be submitted on its project and for a final order from the Tribunal, wpd is bringing out the bulldozers and chainsaws. To make matters worse wpd is proceeding just as the endangered Blanding’s turtle emerges from winter hibernation and as migratory birds begin to arrive. APPEC has responded quickly to WPD’s disgraceful action by submitting a stay motion to the ERT asking for an order to prevent any physical activity at the project site until a date determined by the Tribunal. The Tribunal is considering submissions on the motion. A decision is expected soon. In responding to APPEC’s motion for a stay wpd provided a photograph of the type of heavy machinery that it intends to utilize onsite. wpd may call what it wants to do “vegetation-clearing” but a lot more is involved than this. In reality wpd will be clearing significant wildlife habitat for endangered species such as the Blanding’s turtle and endangered grassland species such as the Whip-poor-will, Eastern Meadowlark and Bobolink. They would also be clearing the project site of Blanding’s turtles emerging from their over-wintering sites early this year after a mild fall and winter. And wpd is perfectly willing to allow all of this habitat destruction for a wind project that has no assurance of ever being built. We are appalled by wpd’s chosen course of action. It is fundamentally disrespectful of the appeal process not to mention an ERT decision that to anyone’s mind would bring the White Pines wind project to a grinding halt. Instead, wpd is behaving as though the decision does not apply to them. Vegetation clearing for turbines and access roads will cause irreparable environmental destruction. Of particular concern is the impact of heavy machinery that will be brought in on Blanding’s turtle habitat, where most of the wind turbines are located, and on Blanding’s turtles themselves as they emerge from their over-wintering sites early this year after a mild fall and winter. APPEC’s legal counsel has responded quickly submitting a motion requesting the ERT to issue a stay of all physical activity associated with this Renewable Energy Approval until this matter has been resolved by the Tribunal. 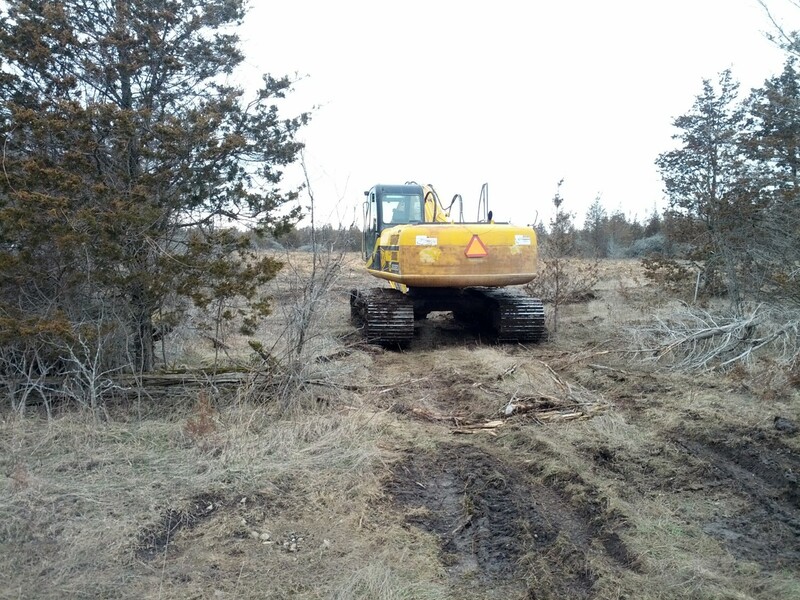 APPEC, Mr. Hirsch and the Prince Edward County Field Naturalists (PECFN) note the similarities between wpd’s attempt to start on construction while an appeal is underway and a prior attempt by Gilead Power to do the same at Ostrander Point. In this instance the Ontario Court of Appeal had no hesitation in granting a stay on construction in order to prevent irreparable harm. We are confident that wpd’s attempt will meet with the same outcome. Given the urgency of this motion we would expect that the Tribunal will give it a high priority and issue a decision without delay. The way these lawyers play with words – construction vs operation,blah blah – totally gutting the intention of the ruling! The other horror is that they need to destroy the site before the date when the wildlife is protected, May to Oct. And the way the Director ‘takes no position’ on the destruction of the sites! The nerve of the little bastards! They’re putting these monsters up on private land? Boy, that’s just great for community relations. Money seems to be the new God. I cannot believe this!!!! They should be stopped in their tracks!! This proves what sort of disrespectful, unconscionable, work ethics this group has!!! No means No!! Another instance of make me stop if you can! Blessed are the small and humble, for they, it seems, shall halt wind turbines. John Hirsch, a board member of the Prince Edward Point Bird Observatory, filed an appeal of the Environment Ministry’s White Pines wind turbine approval. The appeal was upheld. In the latest instalment of the epic machine vs. nature struggle being played out in Prince Edward County, environmental activists have scored another victory against construction of wind turbines they say will do serious and irreversible harm to already endangered species. This time, in a ruling released Feb. 26, an Environmental Review Tribunal upheld an appeal against a turbine development it concluded posed serious risk to the Little Brown Bat and the Blanding’s Turtle. Last July 16, the Ontario Environment Ministry issued an approval to White Pines Wind Inc. to install and operate a facility of 27 turbines on the pristine south shore of what locals call the County. As it happens, a man named John Hirsch was scouting property in the County at the time for he and his wife to move to after wrapping up a career in customs consulting. Hirsch had already become a board member of the Prince Edward Point Bird Observatory, one of the most important bird-banding stations in Canada. He suspected — even before eventually buying property in another part of the County — that the White Pines proposal would profoundly alter the south shore. He was also, owing to his career in customs administration, quite familiar with tribunals. By July 29, Hirsch had filed an appeal — “it’s not all that complicated” — of the Environment Ministry’s White Pines approval, getting in a day ahead of the Alliance to Protect Prince Edward Country. While Hirsch, 66, might have got top billing, the alliance “came to the rescue,” he said, with funding, legal representation and recruitment of expert witnesses. During November and December, Hirsch, who now works part-time at Home Depot in Belleville, sat through 21 days of hearings, after which he wasn’t terribly confident of the outcome. We are pleased to announce that APPEC’s appeal of wpd’s White Pines Wind Project has been upheld in part. The Tribunal has found that the White Pines project will cause serious and irreversible harm to Little Brown Bats and to the Blanding’s turtle. The Tribunal did not find serious and irreversible harm to human health, to hydrology or to migratory birds. However in regards to the latter the Tribunal did note that this wind project presents a significant risk of serious harm to migrating birds and that the project site was poorly chosen from a migratory bird perspective. We are cautiously elated! The Tribunal acknowledges that engaging in this wind project in accordance with the REA (Renewable Energy Approval) will cause serious and irreversible harm to animal life. Therefore wpd no longer has an REA to stand behind. The ERT has ordered a hearing of submissions with respect to potential remedies. The board will be studying the decision over the weekend and following consultation with our legal counsel Eric Gillespie, will have more information to give you next week. On Day 21 the Environmental Review Tribunal (ERT) heard the last witness in the appeal of the White Pines wind project. APPEC tried to call three Reply Witnesses: Dr. Shawn Smallwood, an expert in avian wildlife behaviour and conservation; Robert McEwen, P. Eng., a structural engineer; and Kari Gunson, a road ecologist. Mr. McEwen and Ms. Gunson were intended to respond to WPD’s witness Shawn Taylor, who had done a survey of municipal roads on the day before he testified. Eric Gillespie, counsel for APPEC, asked the Tribunal either to disallow the new evidence collected at the 11th hour or to allow APPEC an opportunity to respond. Mr. Gillespie argued that each party should have an equal opportunity to reply to the full submission of the other. Both MOECC counsel Andrew Weretelnyck and WPD counsel Patrick Duffy objected to the admissibility of Mr. McEwen and Ms. Gunson as Reply Witnesses. The Tribunal agreed with their submissions and found that of the three witnesses only Dr. Smallwood’s evidence was proper reply. Dr. Smallwood told the ERT he disagreed with WPD witness Dr. Strickland that pre-construction bat surveys have no value. He directed the Tribunal to graphs showing a plausible correlation between pre-construction bat activity and post-construction bat mortality. He noted that when more data is added the more the relationship is strengthened. This suggests there is value in doing pre-construction surveys to estimate bat fatality rates. Dr. Smallwood also noted that avoidance is not the same as displacement. While avoidance on a large scale will equal displacement, it might just as well involve manoeuvres to evade turbine blades, wind turbines, or an entire wind project. Repeated avoidance that leads to habitat loss is displacement. ERT co-chair Marcia Valiante noted that this schedule leaves insufficient time for the Tribunal to meet the regulatory six-month deadline. As a result the Tribunal found that stopping the clock on the proceedings is required. Following the oral submissions the ERT will adjourn for four weeks and issue a decision on February 19, 2016. On Day 20 the Environmental Review Tribunal (ERT) on the White Pines wind project heard APPEC witness Rick James and an expert witness for developer WPD, Dr. Dale Strickland. Mr. James, qualified previously as an acoustician, presented new evidence in reply to Denton Miller, witness for the Ministry of Environment and Climate Change (MOECC). Following new ministry guidelines and omitting disallowed wind turbines T7 and T11, he calculated that 13 “points of receptions” (i.e., homes) would suffer noise above 40 dBA. Both MOECC counsel Andrew Weretelnyck and WPD counsel James Wilson questioned Rick James on 40 dBA as a measure of serious harm. James said the MOECC had set this compliance limit and the World Health Organization (WHO) had found health effects, specifically annoyance and sleep disturbance, start at 40 dBA. In re-examination APPEC counsel Eric Gillespie confirmed with James that WHO had reported noise complaints during nighttime begin at 35 dBA. WPD counsel Patrick Duffy asked Dr. Strickland about the appropriate scientific measure for serious and irreversible harm. He said it is based on the overall genetic and demographic status of a species’ population. According to Dr. Strickland, the White Pines surveys of birds and bats are “adequate,” conform to established methods and published guidance, and are similar to those for other wind projects. Bats would not be high in number without the presence of hibernacula. Acoustical surveys are not necessary because they record bats at ground level and the results do not correlate with bat deaths at wind turbine rotor level. Dr. Strickland also said the effects on habitat would be minimal. Loss from access roads and other construction is relatively small, and displacement from habitat would not be significant because of the project size. Regarding collisions, Dr. Strickland predicted 5-15 bird deaths annually per turbine, the same as at other North American sites. He defended the Wolfe Island monitoring records, stating the mortality rates are reasonable for a searched radius of 50m, an area commonly used at other wind projects. Considering the project location and size, he concluded that White Pines would not cause serious and irreversible harm to wildlife. In cross-examination Eric Gillespie confirmed that Dr. Strickland had not visited the White Pines site but had based his opinions on WPD’s reports and on Google Earth images. 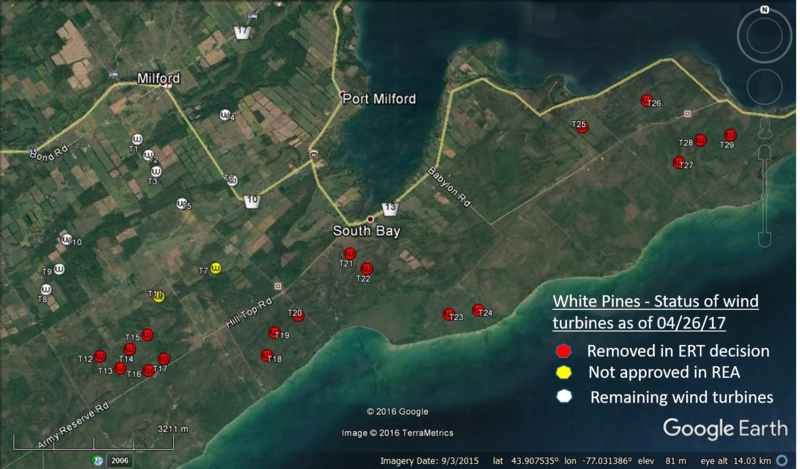 Although aware of Prince Edward Point National Wildlife Area and Point Petre Provincial Wildlife Area, he did not know their proximity to wind turbines. However, he dismissed the “globally significant” South Shore Important Bird Area because the IBA designation reflects convenient public access and use of the site for bird-watching. Dr. Strickland did not know of an “activity report” by the Ministry of Natural Resources and Forests finding five threatened bird species and three bat species in the White Pines area. He agreed with Mr. Gillespie that such information might have influenced his opinions. Similarly, he conceded that if there had not been adequate surveys for karst, then one needed more information to estimate the bat population. He also admitted that the cumulative effects of wind projects must be considered to determine local impacts on birds. On Day 19 the Environmental Review Tribunal (ERT) of the White Pines wind project heard the testimony of Dr. Robert McCunney, an expert witness for developer WPD. Robert McCunney, MD, has a Boston clinical practice and is a research scientist at the Massachusetts Institute of Technology. Funded by the Canadian and American Wind Energy Associations, he headed teams in both 2009 and 2014 that produced status reports such as the recent “Wind Turbines and Health: A Critical Review of the Scientific Literature.” Though not licensed to practice medicine in Ontario, Dr. McCunney has testified on behalf of the wind industry at other ERT hearings. WPD counsel James Wilson asked Dr. McCunney to comment on wind turbine sounds. He said that noise is characterized by loudness and pitch, low frequency is associated with vibrations, and infrasound is inaudible below 107 db(A). The last feature also occurs in the natural environment (e.g., wind and waves) and in actions of the human body such as breathing. Turbine infrasound cannot be distinguished beyond 300m. Dr. McCunney’s 2014 literature review, based on 162 published papers, concluded that “(1) infrasound sound near wind turbines does not exceed audibility thresholds, (2) epidemiological studies have shown associations between living near wind turbines and annoyance, (3) infrasound and low-frequency sound do not present unique health risks, and (4) annoyance seems more strongly related to individual characteristics than noise from turbines.” Nothing Dr. McCunney has read since publication changes his opinions. In cross-examination, APPEC counsel Eric Gillespie established that Dr. McCunney has never treated anyone complaining of turbine-related symptoms or conducted any original field research. Though he lives near a wind turbine, his home is 1500m away. Mr. Gillespie asked Dr. McCunney to confirm the findings in several studies cited in his literature review that turbine sounds annoyed 7-18 percent of nearby residents. But Dr. McCunney said this is similar to other environmental noise. Moreover, he does not accept the concept of “wind turbine syndrome,” in which a number of symptoms are associated with wind turbines and disappear in their absence. Finally, Mr. Gillespie asked at what distance from turbines complaints would cease. Dr. McCunney expressed confidence in Ontario’s 550m minimum setbacks. On Day 18 of the Environmental Review Tribunal (ERT), APPEC expert witness Dr. Daryl Cowell testified that there is substantial evidence of karst in the White Pines study area and that serious and irreversible impacts will occur if this project proceeds. WPD witness Ronald Donaldson and Ministry of the Environment and Climate Change (MOECC) witness Mark Phillips disputed this. Dr. Cowell told the ERT that he has appeared as a karst expert witness before eight Ontario Municipal Board hearings, done work for municipalities across Ontario, and authored or co-authored hundreds of technical documents, including peer-reviewed papers. He has spent 40 years studying karst, with the past 20 years focused on hazard assessment. Dr. Cowell was qualified as a professional geoscientist with expertise in karst. Dr. Cowell said that a major karst area runs through Black Creek Valley ANSI (Area of Natural and Scientific Interest). Physical evidence of karst includes sinkholes and crevices (as identified earlier by area resident and presenter Doug Murphy), an artesian-like stream, year-round springs that go underground, dry wells, and extensive limestone pavements. Turbines would be located in epikarst, the upper boundary of a karst system, close to the edge of the valley. The access road to wind turbines T02 and T03 crosses Black Creek and proceeds through a zone of karst features including crevices one foot wide and ten feet deep. However, none of WPD’s Renewable Energy Approval reports identified karst features, assessed potential impacts, or even surveyed water bodies except in September and October, known to be low-flow periods. Dr. Cowell noted that mapping the watershed in a karst aquifer is extremely difficult when vertical and horizontal fractures make water flow unpredictable and boundaries are always in flux. A storm water management plan is out of the question because it is impossible to determine the high water mark, a basic requirement for construction activities. According to Dr. Cowell, blasting and trenching for 16 kilometres of new access roads, collector lines, and turbine bases will cause serious and irreversible harm to shallow karst areas. Blasting and backfilling through the upper metre of bedrock will dam and divert flows resulting in permanent impacts to the surface water/groundwater regime. WPD witness Ronald Donaldson was qualified by the Tribunal as a hydrologist. His testimony focused on potential interference with the quality and quantity of the local water supply aquifer and groundwater. 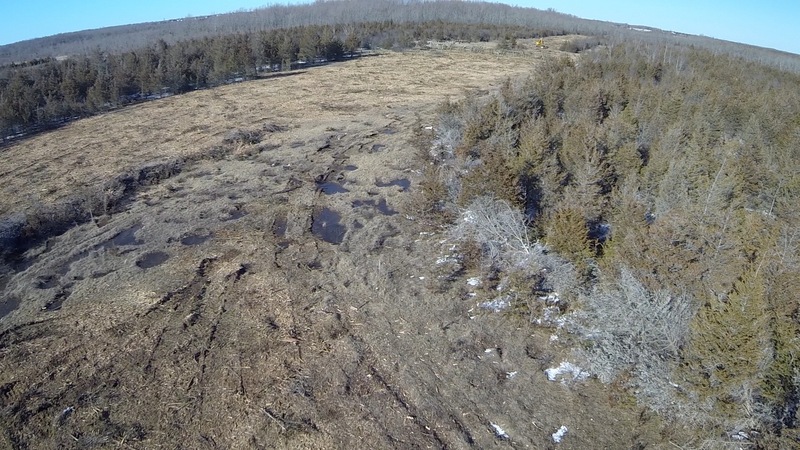 Donaldson reviewed aerial photographs, maps and literature that show no conclusive evidence of karst in Prince Edward County. He considers the Black Creek Valley a sub-glacial tunnel formed long ago by glacial melt-waters. Though predicting impacts such as sediment in shallow water wells and wetlands, he said there are mitigations for the temporary effects as well as for sinkholes or fractures opened during construction. Donaldson agreed with APPEC counsel Eric Gillespie, however, that alterations to the top three metres could impact wetlands. Mr. Gillespie referred Donaldson to a 2013 study cited by Dr. Cowell, “Evaluating karst risk at wind power projects.” While agreeing that karst evaluations should be done early, Donaldson said he was not qualified to speak to the study’s number one mitigation—to move the turbines. Mark Phillips, of the MOECC, was qualified as a surface water specialist with expertise in identifying risks to and mitigation of surface waters. Starting in October 2014, Phillips raised a number of issues about the lack of detail on project impacts on wetlands in WPD’s Construction Plan Report, the risk of impacts during construction on surface water, and the timing of surveys for water bodies. However, WPD chose to rely on existing MOECC records rather than carry out additional field work. Nonetheless, Phillips considers that risks from erosion and sediment can be fully managed by the “mitigation toolbox” and the effects will be temporary. He confirmed with Mr. Gillespie that he did not review the wetlands near turbines T27, T28, and T29 or, indeed, the Natural Heritage Assessment on wetlands. On Day 17 the Environmental Review Tribunal (ERT) of the White Pines wind project heard the testimony of WPD witnesses Shawn Taylor and Dr. Paul Kerlinger. Mr. Taylor was qualified by the Tribunal as “an ecological restoration and construction mitigation specialist.” However, he testified at length about Blanding’s turtles because of his participation in a four-year study involving a Kanata road extension into their habitat. After classifying the roads (paved, gravel, and access) required for White Pines, Taylor spoke about the risks from higher traffic, but he said these are minimal due to the “block-out period” on construction between April 15 and October 15, and the later infrequent maintenance visits. Mitigations such as staff training and 15km speed limits will protect turtles. Taylor also felt that “new roads would not increase fragmentation of Blanding’s turtle habitat.” He described the access roads as “laneways” flush to the ground surface and therefore not a barrier to turtles. Similarly, turtles will readily move through the nine culverts to be constructed. The roads would also not interfere with water flow into deep wetlands, crucial overwintering habitat. Predation of eggs and young by foxes, raccoons, and skunks is possible but could be mitigated by compaction and reduction of roadside gravel, though neither method is cited in the White Pines construction report. 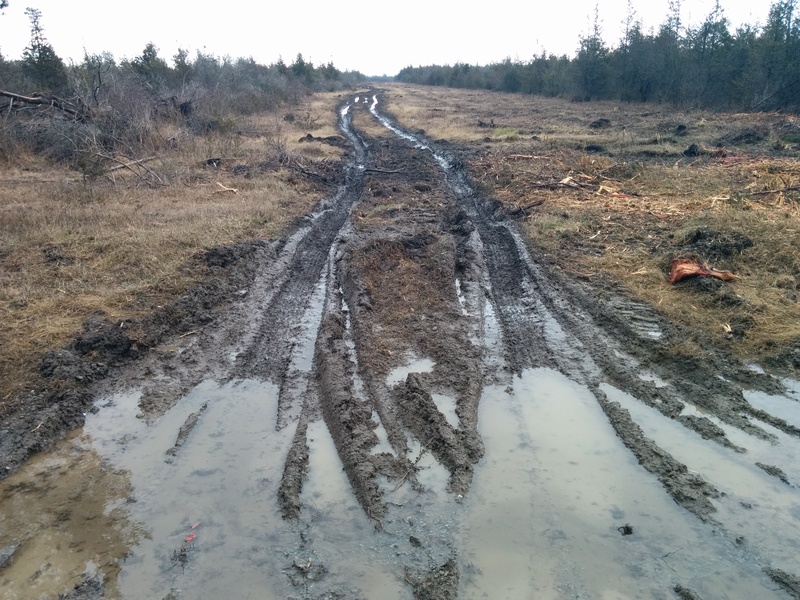 During cross-examination by APPEC counsel Eric Gillespie, Taylor admitted that his witness statement is incorrect in describing most access roads as passing through ploughed fields instead of cultural meadow, alvar, and treed land. Only nine turbines are located within current agricultural fields. The access “laneways” would be 5m wide, with brush clearance as much as 5m on each side. Taylor also conceded that two thirds of the White Pines project lies within primary Blanding’s turtle habitat. According to a map in WPD’s Natural Heritage Assessment, wind turbines T7, T11-24, and T27-29 all fall within known turtle egg excavation or spring foraging areas. Paul Kerlinger, Ph.D., was qualified as “a biologist with specialization in bird behavior and expertise on the impacts of wind energy projects.” Once an Audubon Society director of the Cape May Observatory, Kerlinger redirected his career to studying avian risks from wind projects in Canada, Mexico, Spain, and the United States, and he has testified in 100 cases as an expert witness on behalf of developers. Although stating that “all wind projects kill birds,” Kerlinger does not regard this as “serious and Irreversible harm” because the fatalities are not statistically significant at the species population level, whether measured as a percentage or by population viability models (which take into account reproductive rates, dispersal and mortality). He said studies show that mortality ranges from 6-9 birds per turbines per year, and the upper figure applies to Wolfe Island when its monitoring records are averaged over three years. Under cross-examination Kerlinger admitted there are different views of the appropriate geographical scale to be considered for assessing risk to bird populations. He also conceded that monitoring results are dependent on search area size and terrain, number of predators, frequency of searches, and staff training. Data comparison across projects is complicated by differing turbine sizes and power output. Finally, though noting the effectiveness of such mitigations as flashing lights and turbine shutdowns, he said he had made no suggestions to WPD. The ERT resumes Monday, December 7, 10 a.m., at the Prince Edward Community Centre, 375 Main St., Picton. On Day 16 of the Environmental Review Tribunal (ERT), APPEC expert witness Kari Gunson testified that the White Pines wind project will cause serious and irreversible harm to Blanding’s turtles on the Prince Edward County south shore, and Dr. Smallwood completed his testimony from Tuesday. Ms. Gunson has worked as a Road Ecologist for 16 years and has co-authored 13 peer-reviewed published articles. She was qualified by the Tribunal as a Road Ecologist, with experience evaluating the indirect and direct effects of roads on wildlife and their habitat. Gunson focused on the large roadless areas around wind turbines T12 to T24 and T26 to T29. White Pines will increase road density in habitat occupied by the Blanding’s turtle, a threatened species, and the new roads will be used by maintenance vehicles, by landowners to gain access to their property, and by farm machinery. Moreover, Ms. Gunson predicts that upgrades to existing municipal roads, such as Babylon and Helmer, will result in more traffic and vehicles moving at higher speeds than at present. Blanding’s turtles are at risk from vehicular strikes because they range up to 6 km, and in habitat, like the South Shore where soil is scarce, they will nest along the roads. Gravel roads can be ecological traps where turtles are also vulnerable to predation and poaching. Access road construction, said Gunson, can lead to changes in vegetation composition and in hydrology, with changes in water temperatures and levels impacting turtles which overwinter in wetlands. Blanding’s turtle experts have recommended a 150m construction buffer from wetlands. However, WPD’s approved Environmental Impact Study provides only 120m buffers and permits construction activities metres away from wetlands. Dr. Smallwood continued his discussion of his findings on Wolfe Island wildlife mortality for the purpose of understanding the impact of White Pines. He noted that fatalities for 57 bird and bat species have been reported, more than in any other single project he has ever seen. It is probable that the numbers will be even higher for White Pines because of the migratory pathway. If Wolfe Island rates are realized at White Pines, Dr. Smallwood predicts project-level fatalities up to 954 birds and 1800 bats per year. Dr. Smallwood noted his concern with bats, which are drawn to heat-releasing vents in the turbines. It is difficult to estimate how many small bats are killed as they are not readily detected in carcass searches. Dr. Smallwood told the ERT that the best way to prevent harm is siting White Pines to avoid problems. Little can be done after the project is built. He strongly disagrees with claims by Dr. Kerlinger and Dr. Strickland, witnesses for WPD, that impacts can be effectively mitigated once the wind turbines have been constructed. The ERT continues Friday, December 4, 10 a.m., at the Prince Edward Community Centre, 375 Main St., Picton. On Day 15 three experts testified at the Environmental Review Tribunal (ERT) that the White Pines wind project will cause serious and irreversible harm to birds and bats. All had concerns with the project location on a migratory path on Lake Ontario’s shoreline. Dr. Michael Hutchins, Director of the American Bird Conservancy’s Bird Smart Wind Energy Campaign, was qualified as a biologist with specialization in animal behaviour and with expertise in the impact of wind energy projects on birds and bats. Hutchins told the ERT that one function of the Bird Smart Campaign is to educate decision-makers so turbines are properly sited. White Pines is in a high-risk location. The U.S. Fish and Wildlife Service recommends three-mile setbacks from the Great Lakes. Hutchins cited a recent U.S. study showing significant displacement of breeding grassland birds in mid-western states after turbine construction. White Pines will displace protected Bobolink, Eastern Meadowlark, and Eastern Whip-poor-will, and the impact could easily result in local extirpation. Bill Evans has researched the impact of wind projects on birds and bats for 20 years. Evans was qualified as an expert in avian acoustic monitoring and nocturnal bird migration. He said that a number of species in Ontario, including the Purple Martin, have been in long-term decline, but Stantec did no surveys of Purple Martins during late summer when large numbers gather to roost. Evans noted that Purple Martin collision fatalities are increasing at Ontario wind facilities and made up 6.09% of all bird fatalities in 2014, higher than in 2012. Dr. Shawn Smallwood was qualified as an ecologist with expertise in avian wildlife behaviour and conservation. In addition to 70 peer-reviewed publications Smallwood has done research at the Altamont Pass Wind Resource Area (WRA), a California wind project notorious for its high raptor mortality. Smallwood told the ERT that impact monitoring at Wolfe Island indicates the highest avian fatality rates in North America other than at Altamont Pass WRA. Based on methods commonly used across the rest of North America, Smallwood estimates that Wolfe Island kills 21.9 birds per turbine per year. This is nearly twice the number reported by Stantec using searches only within a 50-foot radius, less than half of standard practice. Smallwood considers Wolfe Island one of the most dangerous wind projects on the American continent. Smallwood predicts similar or higher fatality rates at the White Pines project because the peninsula is targeted by migrating birds as a stopover site and because the project is surrounded by wetlands and woodlands intensively used by birds. Moreover, many threatened and endangered species occur at the site. Stantec surveys for White Pines foster a high level of uncertainty because 19 hours of field work is so minimal that it’s impossible to know much about the large project area, and no surveys were done for migratory bats. Smallwood recommends that serious and irreversible harm be assessed from a biological perspective, not from population analyses. Fatalities cause harm not only to the individuals killed but also to mates, dependent young, and social connections. Serious and irreversible harm should not be based only on body counts. The ERT resumes Thursday, December 3, 10 a.m., at the Prince Edward Community Centre, 375 Main St., Picton. On Day Fourteen the Environmental Review Tribunal (ERT) of the White Pines wind project heard the testimony of Kathleen Pitt and Dr. Brock Fenton. Ms. Pitt, summoned by APPEC and qualified by the Tribunal as “a biologist,” has a B.A. in Environmental and Resource Studies and is a manager with the Ministry of Natural Resources and Forests (MNRF). She was responsible chiefly for assessing the Species-at-Risk report for White Pines, recommending Endangered Species Act (ESA) permits for the bobolink, eastern meadowlark, and whip-poor-will, and deciding not to recommend a permit for the Blanding’s turtle. She explained that ESA, or “overall benefit,” permits are issued when it is possible to compensate for harm through other activities like research or habitat restoration. Permits are not issued when avoidance and mitigation measures are considered sufficient. For Blanding’s turtles, Pitt never consulted MNRF herpetology expert Joe Crowley. She said she did not know if the entire South Shore was their territory but conceded that Ostrander Point turtles could move offsite. Though she had not read the entire ERT decision on Ostrander Point, she disagreed that it was necessary to exclude turbines. She felt that standard setbacks of 120m from wetlands as well as other avoidance and mitigation measures would provide protection. In cross-examination Dr. Fenton disagreed with the condition in the White Pines Renewable Energy Approval that mitigation is necessary only if bat deaths total 10 per turbine per year. He said that even one dead bat should trigger a shutdown because it is possible to use acoustic monitoring for bats and to turn off turbines when they are present. The ERT resumes Tuesday, December 1, 10 a.m., at the Essroc Centre, Wellington. Day Thirteen of the Environmental Review Tribunal (ERT) of the White Pines wind project focused on two witnesses: Denton Miller, a Senior Noise Engineer in the Environmental Assessment Branch of the Ministry of the Environment and Climate Change (MOECC), and APPEC witness Dr. Craig MacRae, a professional hydrologist. Miller clarified the MOECC’s position that wind turbine noise is broadband, not impulsive, and that turbines have no low-frequency or infrasound emissions. Reports of “sensations” are among the complaints the MOECC receives. MOECC audits ensure that the sound power used in modelling is correct and complies with regulations. If compliance is an issue, there are options such as restricting operations to daytime or during certain wind conditions. Miller explained that the MOECC’s Noise Assessment is predicated on the worst-case scenario and the model gives conservative results. Therefore, it is not a concern that sound output downwind of turbines is 6 to 7 db(A) higher than upwind, or night-time sound output may vary from 5 to 10 db(A) due to wind shear. APPEC counsel Eric Gillespie asked Miller to consider that MOECC’s model is “practical,” not “conservative,” because acousticians suggest these scenarios happen all the time. Gillespie noted that the White Pines project is spread over a large area encompassing many receptors. At any given time would it not be possible that turbine blades will be turned away from some receptors while other receptors will be downwind? Miller replied that due to variable wind directions this might not happen and sustained impact is unlikely in any case. Miller confirmed that the MOECC is issuing new guidelines in a few weeks to replace the 2008 Noise Guidelines. Among other things the revision includes a section on wind shear profiling and specific directions to ensure calculations are based on maximum output. Dr. Craig R. MacRae, qualified as a hydrologist, has 32 years of professional experience in measurement and modeling of hydrologic systems, channel erosion, open channel flow hydraulics and sediment transport. Dr. MacRae told the Tribunal that karst is an area of limestone characterized with crevices, fissures, sinkholes, and underground streams. Karst formation flows continuously throughout the Prince Edward County south shore, with different levels ranging from 2m up to 30m deep. He observed numerous karst features on his site visit of the White Pines project. Yet Stantec did not report the presence of karst and did not do any field work. Dr. MacRae stated when karst is disturbed by construction, it is destroyed. The harm is irreversible and cannot be repaired. Underground water flows horizontally and the construction of the 16.7km access roads, cable trenches, excavations for wind turbine and crane pads, and upgrades to existing municipal roads all can damage and destroy the karst. Dr. MacRae also stated that trenching for the access roads and collector lines can drain the wetlands. The damage is unpredictable and thus cannot be mitigated. A water management plan cannot be developed as flooding can occur in areas where there was none prior to construction. MacRae noted that the 20 culverts proposed along new access roads will not manage all the risk and more culverts would simply change the flooded areas. New access roads must be raised to allow for water flow ditches on both sides in order to prevent washouts. Patrick Duffy, counsel for WPD, challenged Dr. MacRae in cross-examination, trying to show that there is no karst in the White Pines project area. He referenced high-level diagrams in public documents that show Prince Edward County has “unknown” karst. Dr. MacRae replied that these diagrams don’t tell the whole story and the documents describe characteristics on the south shore that are consistent with karst. In Mr. Gillespie’s reply, Dr. MacRae identified many deficiencies in Stantec’s reports for the White Pines project. There was no field work, no methodology set out with established criteria, no physical measurements, and no topological mapping. Stream courses were insufficiently mapped, no high-water mark measurements were established, and the existing MNRF database is sorely lacking. Finally, Stantec did not identify three large sinkholes and 10 additional streams that Dr. MacCrae observed on his site visit. ERT co-chair Hugh Wilkins asked Dr. MacRae to identify areas of concern. Dr. MacRae said that the areas of greatest risk are T1, T2 and T3 in the Black Creek Valley ANSI, T25 through T29 in the eastern portion of the township, and parts of Helmer Road and Babylon Road in the Provincially-Significant South Bay Coastal Wetland. The ERT resumes Monday, November 30. The ERT continues on Wednesday, November 25, at 10 a.m. in the Picton Community Centre. Day Eleven of the Environmental Review Tribunal (ERT) on the White Pines wind project was scheduled to deal with WPD’s witness Robert O’Neill. However, the hearing began with a request from Eric Gillespie, APPEC’s legal counsel, for full disclosure from the Ministry of Natural Resources and Forestry (MNRF) of the balance of the documents relating to Blanding’s turtles. Mr. Gillespie advised the ERT that the MNRF has handed over only seven documents although it is clear there are many more. The Tribunal declined to make a ruling at this time. Gillespie subsequently provided notice of a motion made on behalf of the appellants that ERT co-chairs Marcia Valiante and Hugh Wilkins recuse themselves from these proceedings. The Tribunal agreed to receive written submissions on this matter and will make a ruling as soon as possible. There were no objections to the ERT continuing to hear evidence over the next two days. The hearing then focused on Robert O’Neill, a sound engineer with Epsilon Association, whom the Tribunal qualified as an acoustician with expertise in wind turbine frequency noise. During the past ten years he has conducted studies at about 20 operational wind projects. O’Neill told the ERT that wind turbines emit mechanical and aerodynamic sound. Under cross-examination he agreed that wind turbine sound can be characterized as broadband (the “swishing” sound) and as low frequency, but he does not agree with the characterization of impulsive-like effects. O’Neill noted that at night people 450 m from wind turbines will more than likely hear a “whoosh, whoosh” sound but this will vary depending on meteorological conditions. At certain times this sound will be audible a kilometre away, but he would not characterize the sound as loud. He agreed with Gillespie that sound propagation depends on make and model of the turbines, weather conditions, distance from turbines, ground effects (sound bends upwards or down to earth), temperature inversion (at night, blades will pass through warm air at the turbine top and a mass of cooler air on the bottom), location (more noise downwind of turbines), and wind shear, where blades are passing through air masses moving at different speed. O’Neill believes that A-weighting, the most commonly used method to describe sound, is the most appropriate measurement as it combines all the frequencies. However, O’Neill agrees that in addition to audible sound there is also sound that people can sense. Under cross-examination he agreed with Gillespie that his statement that low frequency and infrasound will not impact people is not based on any particular medical expertise but is only an evaluation based on professional standards and guidelines. The White Pines ERT is in Toronto on Tuesday and in Picton on Wednesday, at the Prince Edward Community Centre at the Picton Fairgrounds, 375 Main St., Picton. The Ostrander Point ERT is on Thursday and Friday at the Sophiasburgh Town Hall, 2771 County Rd 5, Demorestville. 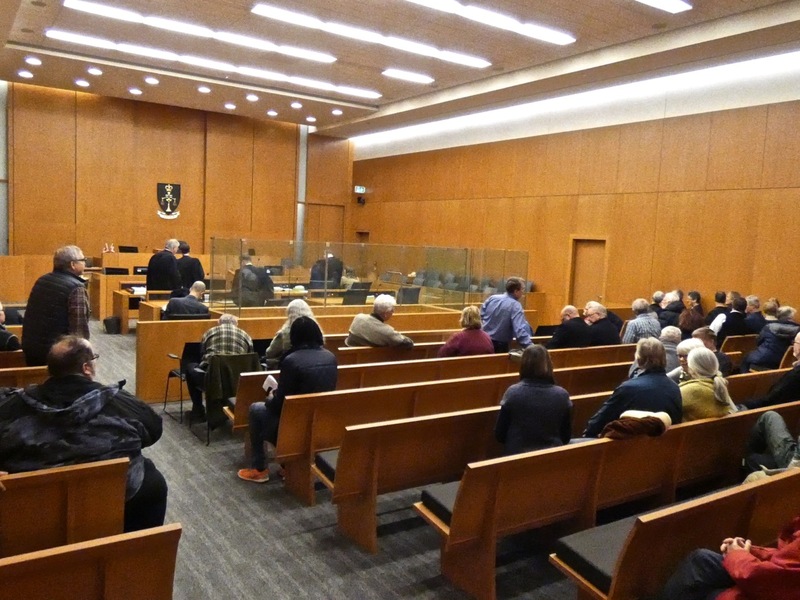 Both ERTs start at 10 a.m.
APPEC’s health appeal continued on Day 10 with expert witness Dr. Paul Schomer testifying before the Environmental Review Tribunal (ERT) on the White Pines wind project. The remainder of the day was spent making adjustments to the schedule following WPD’s abrupt announcement that it was dropping an appeal of the disallowance of two turbines (T7 and T11) by the Ministry of Environment and Climate Change (MOECC). Dr. Schomer, a former Standards Director of the Acoustical Society of America with 48 years’ experience in noise measurement, was qualified by the ERT as an expert in acoustics. He told the Tribunal that all residents in the White Pines project area will be affected by audible and inaudible sound and a number of residents will be seriously affected. The effects reported by people living near wind projects are similar in nature to the effects experienced by participants in a 1985 University of Toronto study on infrasound. At lower levels and at higher levels of pure tone some participants experienced nausea and dizziness. However, when overtones were added at higher levels, participants experienced headaches and fatigue. Dr. Schomer considers that internationally-accepted noise standards and protocols are being flouted in Ontario. For example, A-weighting is not supposed to be relied on when sounds have low-frequency content such as those emitted by industrial wind turbines. Canada is one of the countries that voted for this rule. He also calls for changes in current Ontario regulations to adjust up to 10 db(A) for wind turbine noise in rural areas. Other suggested adjustments include up to 3 db(A) for weather conditions and 3 to 4 db(A) for locations downwind of turbines. Dr. Schomer is highly critical of WPD’s current predicted average sound as it merely indicates that 50% of the time 50% of the residents will be exposed to sound above or below the limit. The wind industry should be held to a higher level of accountability: db(A) limits should be met 95% of the time. Dr. Schomer pointed to a very important figure in the Health Canada Report. Only 1% of people are shown to be highly annoyed at 30 – 35 db(A) sound levels. However, at 35 – 40 db(A) the number jumps to 40%. Dr. Schomer sees this as evidence of a community response to wind turbine noise, and that what Health Canada says, what independent acoustic experts say, and what communities say should carry weight in Ontario. Through experience Dr. Schomer has found that when community responses disagree with the physics, the physics is usually wrong. This has been confirmed by his involvement in six studies of wind farms, including the 8-turbine Shirley Wind Farm in Wisconsin where three families abandoned their homes and about 60 other people reported adverse health effects. The ERT continues next week. Hearings on Monday and Tuesday are in Toronto. The location of the hearing on Wednesday still needs to be confirmed. On Day Nine, APPEC expert witnesses Richard James and Steven Cooper provided acoustical evidence to the Environmental Review Tribunal (ERT) on the White Pines wind project. The Tribunal qualified Mr. James as an acoustician on the basis of 40 years’ work experience and testimony at hearings in several American states and six ERTs. James criticized WPD’s sound propagation modeling. The computer model is based on a single turbine as opposed to a set of turbines, and though specifically limited to one kilometre, it is used for calculations at greater distances. This leads to concerns about understating and under-predicting sound levels and under-representing the worse possible impact. Adjusting for model uncertainty and other factors, James expected a significant increase of 4.2 dB(A) beyond regulations. While the model suggests compliance with Ministry of Environment and Climate Change (MOECC) guidelines, James believes that the project will put 23 non-participating noise receptors in excess of 40 dB(A). Many more residences would fall outside MOECC guidelines because the summer/winter profile is flawed by not correcting for wind shear. Furthermore, since MM92 wind turbines have been the subject of a number of lawsuits, Mr. James contends that WPD’s modeling calculations are fundamentally too low. James was equally critical of the MOECC guidelines and methods, which he said are not used by reputable acousticians. For example, the effect of wind shear in relation to upwind turbines versus downwind turbines has been known since the 1980’s. The MOECC relies solely on the dB(A) scale, which is inadequate for measuring Low Frequency Noise (LFN). Adverse sensations from infrasound have been known since the 1980’s and refute the wind industry claim that LFN has no effect on humans. Next, the Tribunal qualified Steven Cooper as an acoustical engineer on the basis of his professional work and research into aircraft and wind turbine noise in both Australia and the United States. Cooper summarized his 700-page report on the Cape Bridgewater Wind Farm in Australia. The commissioned report is unique because it had the cooperation of the wind project operator and the extensive participation of six project residents who had complained of adverse effects. The study undertook noise, LFN, and vibration measurements in relationship to specific wind speeds and turbine output, and correlated these with “sensations” and “vibrations” experienced by residents. In 37 percent of incidents it found the most severe responses (including the necessity of leaving home) occurred when turbines had increased power by 20 percent or were operating at maximum power. But even when turbines were not operating due to high wind gusts, residents had severe responses because of vibration emanating from towers. Cooper censured WPD’s “Noise Assessment Report” because it cited noise levels but made “no assessment of the impacts of the development” in terms of what is an acceptable noise level in a rural location. It was also flawed by relying solely on dB(A) measurements while ignoring inaudible but measurable infrasound. Under cross-examination both Cooper and James were quizzed on isolated facts and opinions in their lengthy witness statements and numerous supporting documents, but they remained firm in the judgments that the combined effects of audible noise and infrasound are not safe for long-term exposure and that White Pines will cause serious harm to the health of many residents. The ERT continues on Friday, November 20, 10 a.m. in the Essroc Centre. APPEC’s health case proceeded on Day 8 with two experts providing evidence to the Environmental Review Tribunal (ERT) on the White Pines wind project: Dr. Alum Evans and Dr. Robert McMurtry. Dr. Evans, Professor Emeritus at Queen’s University in Belfast, Northern Ireland, has studied cardiovascular disease for 30 years. Dr. Evans told the Tribunal that his involvement in wind turbines is tangential to his interest in noise, sleep disturbance, and cardiovascular disease. But he has also met many people severely impacted by wind turbine noise. Citing published studies, Dr. Evans explained that the major adverse health effects of wind turbines seem to be due to sleep disturbance and sleep deprivation, mainly from loud noise and low-frequency noise (LFN), particularly infrasound. Dr. Evans finds the “impulsive, intrusive and incessant nature” of wind turbine noise a particularly troublesome feature that is highly discernible in rural areas. LFN, which is inaudible, is propagated over long distances and penetrates buildings where it can be amplified by insulation and closed windows. Dr. Evans noted that sleep deprivation is associated with increased likelihood of developing a range of chronic diseases, including Type 2 diabetes, cancer, coronary heart disease, and heart failure. His recent systematic literature review found 18 published studies establishing an association between wind turbine noise and human distress. While agreeing with James Wilson, counsel for WPD, that “human distress” is not a medical term Dr. Evans said that human distress needs to be taken seriously nonetheless. He also agreed with Wilson that the results of observational studies do not constitute “proof”. But what is important about these studies is the strength of the associations, which are certainly enough to point to the Precautionary Principle. Robert McMurtry, MD and Emeritus Professor of Surgery at University of Western Ontario, has studied adverse health effects from industrial wind turbines since 2008. His public engagement includes a 2009 Deputation to the Ontario legislature’s Standing Committee on the proposed Green Energy and Green Economy Act; expert witness testimony at the 2011 ERT on the Kent Breeze project; 2011 publication of “Toward a Case Definition of Adverse Health Effects in the Environs of Industrial Wind Turbines”; 2014 publication (with Carmen Krogh) in the Journal of the Royal Society of Medicine of “Diagnostic criteria for adverse health effects in the environs of wind turbines”; 2014 invited commentary by the Canadian Medical Association Journal (CMAJ) on the Health Canada Study; 2015 literature review, “Do wind turbines cause adverse health effects?” presented to the Acoustical Society of America; and 2015 Response to “Invitation to Submit” from the Senate of Australia. When asked by Wilson to confirm statements in the Health Canada Study Dr. McMurtry clarified that he does not accept the findings because of many problems with study design and participation. Among these are the principal investigator’s ongoing work for the wind industry and evidence of communications between Health Canada and the industry, including disclosure of the study prior to public release. In contrast, Dr. McMurtry cited Dr. Cooper’s Cape Bridgewater study showing there is an indirect pathway for adverse health effects. Dr. Cooper visited people’s homes and found that emissions from wind turbines could be detected without hearing them. Dr. McMurtry stressed the fact that no wind farm monitoring has even been done in Ontario. “It would be possible, as cited since 2006,” he said, “to reduce or eliminate the boundless discourse of dueling experts by conducting appropriate third-party research.” The MOECC regulations are based upon out-of-date standards that fail to evaluate LFN and infrasound. Both of today’s health experts emphasized that White Pines would harm a significant number of people. Eric Gillespie noted the importance of APPEC’s witnesses. He told the Tribunal that this is the first time the link has been established at an ERT hearing between wind turbine noise and those who are afflicted. Day Seven of the Environmental Review Tribunal (ERT) began expert witness testimony on the health effects of the White Pines wind project. The first order of business, however, was the Tribunal’s decision on the two environmental reply witnesses proposed by appellant APPEC. Chair Marcia Valiante ruled the witness statements partially admissible subject to objections over “bolstering” and “originality” of evidence. Then the hearing turned to the first of the health experts called by APPEC. Christopher Hanning, MD, qualified as “a physician with expertise in sleep medicine and physiology,” said wind turbines are “inherently noisy and cause sleep loss” because the characteristics of amplitude modulation and low-frequency sound make them much more annoying than aircraft, railways, and road traffic. Citing anecdotal and epidemiological studies, he explained that 15 percent of the population is sensitive to noise and “people are caused serious harm with current minimum setbacks.” He argued that the level of proof which dissenting experts require is inappropriate and that the Precautionary Principle should be used to protect public health. If adverse effects occur up to 1.5 km, this is incontrovertible evidence that the Ministry of Environment and Climate Change (MOECC) setback is inadequate. After completing the examination in chief, Eric Gillespie, APPEC’s counsel, asked how the Tribunal would assess 118 sources in a 69-page witness statement since Dr. Hanning had been able to comment on only a few due to the Tribunal’s tight timelines. Chair Valiante replied that the Tribunal had established rules based on standard practice and Gillespie would have to appeal these in a judicial review. In cross-examination Sylvia Davis, MOECC counsel, questioned the relevance and credibility of Dr. Hanning’s sources, in which statements by wind project residents are taken at “face value.” Dr. Hanning clarified that in the practice of medicine people’s statements are generally accepted but followed by medical histories and clinical tests. He asserted that the studies cumulatively show the existence of a health problem as well as the need for research. James Wilson, WPD counsel, questioned Dr. Hanning’s qualification to testify as he is not an acoustician. Dr. Hanning told the ERT that having spent his entire professional life studying sleep it is apparent to him that any noise causing an adverse health effect constitutes serious harm to human health. He said he relies on the World Health Organization definition of annoyance. If people are annoyed to the extent they are forced to leave their homes or are too tired to drive, the annoyance is serious harm. The second health expert called by APPEC was Dr. Robert McMurtry, whom Gillespie sought to qualify as a physician and surgeon with expertise in the delivery of health care, heath care policies and health policies. Gillespie noted that Dr. McMurtry had been so qualified at previous ERTs, and he pointed to a long and distinguished career in medicine, invited testimony this year before the Australian Senate, and peer-reviewed publication in the Journal of the Royal Society of Medicine on health effects in the environs of wind turbines. But Wilson objected to the qualification of Dr. McMurtry. He submitted that as a homeowner in the White Pines project area Dr. McMurtry was not an independent witness, had a personal financial interest, and should not be permitted to give opinion evidence. Gillespie responded that at this time Dr. McMurtry has no financial interest in anything. He noted further that Dr. McMurtry’s opinion has been relevant at other hearings and is important for the Tribunal to hear. The Tribunal agreed to qualify Dr. McMurtry as an Expert Witness and decided that due to the lengthy process of qualification his testimony would be given the next day. The ERT resumes Wednesday, November 18, 10 a.m. at the Essroc Centre, Wellington. On Day Six, the Environmental Review Tribunal (ERT) of the White Pines wind project considered a procedural motion to exclude two environmental witnesses, heard testimony from four health case witnesses, and then ruled on the proposed schedule of expert witnesses. Eric Gillespie, counsel for appellant APPEC, proposes to call Dr. Michael Hutchinson, a director of the American Bird Conservancy, and William Evans, a nocturnal bird migration monitoring expert, in reply to two witness statements provided by wind developer/approval holder WPD. James Wilson, WPD counsel, claimed these witnesses would either repeat evidence given by another APPEC witness or introduce new facts outside “proper reply.” Gillespie argued that APPEC, bearing the onus of proof, has the right to reply to WPD’s experts, and the expertise of the reply witnesses does not duplicate that of primary witness Dr. Shawn Smallwood, an ecologist. The Tribunal reserved its decision until the next day. 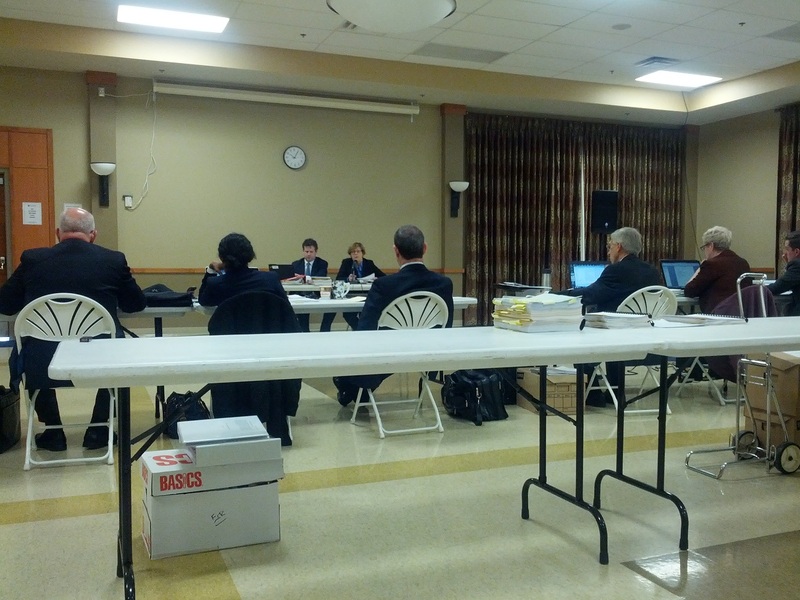 The afternoon was taken up by four witnesses who reside near the proposed wind project. Each witness described pre-existing medical conditions and provided corroborative OHIP and physicians’ records. Nora Bowlby, whose house would be 800 m from the nearest turbine, is concerned that annoyance, stress, sleep disturbance, fatigue, headaches, and vertigo, all symptoms attributable to wind turbines, will worsen her psychological and neurological disorders. She also worries that project construction and road traffic will damage the stone foundation of her 125-year-old wood-frame house. She said that due to her medical conditions the house is a refuge, which she fears will be lost. Ann McLurg, a South Bay resident, fears that low-frequency sound, shadow flicker, and vibration will exacerbate her post-traumatic stress. She said she has spent all her retirement savings in renovating a 160-year-old house where she feels calm and safe, and the wind project now threatens her health. Andrei Sulzenko, whose County Rd. 13 house would be 600 m from turbine T 29, has suffered for nine years from periodic insomnia that triggered adverse health effects. He submitted a letter from his sleep doctor stating that low-frequency sound from nearby turbines could cause sleep disturbance and insomnia. He said the only remedy would be to leave his house. All the witnesses reported that they had contacted WPD and the Ministry of Environment and Climate Change but received no response to their concerns. The ERT resumes Tuesday, November 17, 10 a.m. at Essroc Centre, Wellington. 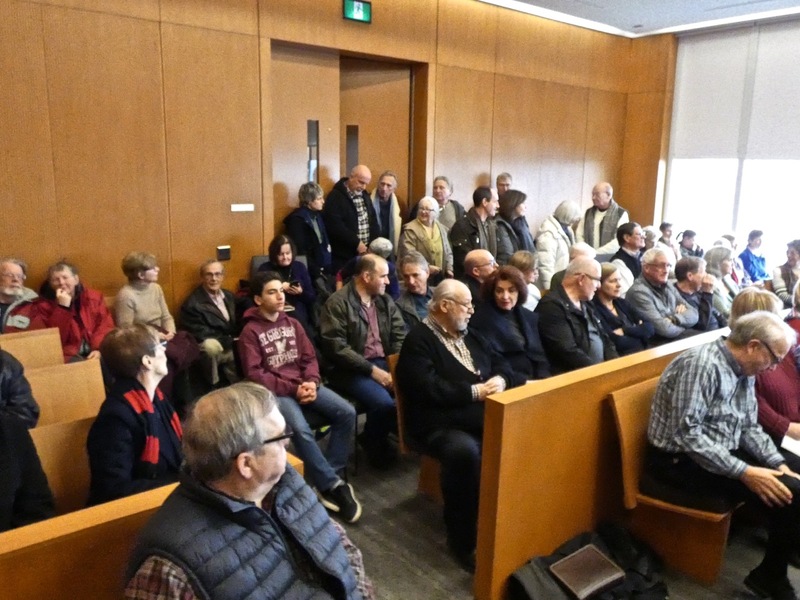 The Environmental Review Tribunal (ERT) of the White Pines wind project devoted Day Five to hearing six members of the public previously awarded status as Presenters rather than expert witnesses. Christopher Currie also sought to be qualified as an expert witness because he would be commenting, as a professional land use planner, on WPD’s application reports. But the Tribunal denied the request because Currie’s focus was on water bodies and he has no credentials in hydrology or related subjects. As a Presenter, nonetheless, Currie gave a detailed review of the deficiencies in WPD’s assessment of water bodies on the project site. He pointed out that two fisheries biologists, not hydrologists, had carried out all the field work from June to mid-October, never during the wet season of November through April, and had used assessment standards inappropriate for alvar. Due to these and other numerous flaws in methodology, the final report was incomplete and unreliable. Excavation, drilling, and hydrofracking for wind turbine bases would cause serious environmental harm to animals and plants by permanently altering the South Shore watershed. Cheryl Anderson, president of Prince Edward Point Bird Observatory (PEPtBO), described how White Pines would jeopardize the millions of birds which migrate each year through the Prince Edward County South Shore Important Bird Area (PECSSIBA). Soaring birds like eagles, hawks and vultures are especially vulnerable, and a dozen species at risk breed in the project area. Moreover, PECSSIBA, which is globally significant for waterfowl and nationally significant for endangered bird species, meets all Environment Canada criteria for a location unsuitable for wind development. In light of high mortality at the nearby Wolfe Island wind project, Anderson called on the ERT to apply the Precautionary Principle. Richard Bird of the Hastings and Prince Edward Land Trust (HPELT) told the Tribunal about the 490-acre Miller Family Nature Reserve on Hill Top Road in South Marysburgh. A 2013 Baseline Documentation Report completed for Ontario Heritage Trust identifies natural heritage features including plants, animals, wetlands, alvar and migratory stopover habitat, as well as the endangered Blanding’s turtle. Wind turbines T21 and T22 are on the lot directly adjacent to the Reserve. A proposed transmission corridor on Hill Top Road will require blasting and/or digging and leveling of trees and vegetation. Mr. Bird said that HPELT considers the Miller Family Nature Reserve a model for what should take place on the PEC South Shore. The ERT requested a copy of the Report. Roxanne MacKenzie focused on the adverse effects of wind turbines on human health. She noted that sound travels in rural areas and the White Pines wind project is close to many homes. People living near wind turbines have suffered sleep disturbance, vertigo, and tinnitus. Shadow flicker is a serious concern, especially with children. MacKenzie also mentioned the negative impact of White Pines on the local tourism industry, property values, and even increased electricity rates due to high transmission costs and subsidized export sale of electricity. Doug Murphy described his 200-acre century farm and its roots going back six generations to United Empire Loyalists. He told the Tribunal that Stantec data is inaccurate: T4 is 97m from his property line, and shadow flicker will be an ongoing issue between April and September. Murphy also noted the project location within Black Creek Valley Area of Natural and Scientific Interest (ANSI) and the prevalence of crevices up to one foot wide and 10 feet deep that in some cases go for miles. The crevices make the area potentially unstable and unsuitable for turbines. Any blasting and/or drilling will cause problems on other properties including effects on water supply. Murphy provided the ERT with a 2012 document from WPD indicating that it plans to put 80 more turbines on 4000 acres. Brian Flack, who lives west of Lighthall Road where nine of WPD’s wind turbines are proposed, said that since the Renewable Energy Approval was granted there is increased stress in the community over property devaluation and potential adverse health impacts, including physical, physiological, and psychological harm. He noted that the Council of Canadian Academies found sufficient evidence of a causal relationship between exposure to wind turbine noise and the medical condition of annoyance. Mr. Flack asked the ERT to consider why the province did not expropriate land instead of denying responsibility for impacts on residents. Since the Tribunal weights evidence on the basis of source and credibility, there’s no way of knowing what effect any of the non-expert Presenters will have on the ERT decision. The hearing continues next week on November 16, 10 a.m., in the Wellington and District Community Centre. The Environmental Review Tribunal (ERT) of the White Pines wind project focused, on Day Four, on Joe Crowley, a species-at-risk expert in the Ministry of Natural Resources and Forests (MNRF). Due to numerous procedural disputes, however, the hearing lasted from 10 a.m. till 8:30 p.m.
Crowley was summoned to testify on the basis of his evidence at the Ostrander Point ERT, and he was similarly qualified as an expert witness, specifically as a “herpetologist with expertise in Blanding’s turtles.” At MNRF he is employed in the Species Conservation Branch, where his work includes assessment and review annually of some 70 projects affecting reptiles and turtles. He confirmed he is the only MNRF employee with special expertise in the Blanding’s turtle, though other biologists may have general knowledge. However, Crowley was never consulted about White Pines despite its adjacency to Ostrander Point. Nor did he know just who was consulted in MNRF. APPEC counsel Eric Gillespie asked Crowley whether the White Pines project could have similar impacts on the turtle population. Crowley made clear he knew nothing about White Pines, but after reviewing a project map he admitted that Turbines 12 – 24 and 26 – 29 might be in suitable Blanding’s turtle habitat. Crowley said he overestimated turtle numbers at Ostrander Point and is no longer confident there is a “healthy and viable” population. Crowley supposed it is “conceivable” that Blanding’s turtles could be moving along the shoreline. Gillespie reminded Crowley of his Ostrander ERT testimony that Blanding’s turtles were known to range both along the south shore and inland 2 to 6 kilometres. Despite his own references in MNRF documentation to an interconnected wetland complex on the south shore, Crowley now considers that it’s only possible turtles move off the Ostrander property because their home range is typically 2 kilometres. Crowley identified two critical habitats for Blanding’s turtles at Ostrander Point. When reminded of the ERT’s finding that the entire site is critical habitat Crowley responded that it would depend on the definition of critical. Due to nest predation and other threats, Crowley explained that a female turtle may have only one surviving offspring over 20-30 years of reproduction. Given this low survival, he had considered at one time that Blanding’s turtle populations could only withstand mortality rates of up to 2%. However, he now believes that as much as 5% mortality is sustainable. Due to the number of reversals from his testimony at the Ostrander Point ERT, Crowley was required to leave on two occasions while lawyers and the ERT panel discussed how to proceed. Gillespie asked the Tribunal to declare Crowley an adverse witness because his testimony was couched with imprecise words such as “could,” “possibly,” and “may.” This request would allow Gillespie to ask leading questions and speed up the process. But the Tribunal denied the request even though counsels for the Ministry of Environment and Climate Change (MOECC) and wind developer WPD had been pressing Gillespie to reduce the time of his examination. During cross-examination by Sylvia Davis, counsel for the MOECC Crowley discussed the need for mark-capture surveys in order to assess population size. After further questioning by Gillespie he agreed that such studies were not done for either the Ostrander Point or White Pines projects. Crowley also informed the Tribunal of a study demonstrating that driver training could have good results in decreasing road mortality. When asked about this study by Gillespie, Crowley clarified that it concerned the Eastern Foxsnake and not Blanding’s turtles. There were some positive points that came out of the testimony. Blanding’s turtles will move from Ostrander Point into the White Pines project area. Crowley’s 2011 statement from the Ostrander project, where he refers to interconnected wetland complexes throughout southern Prince Edward County is now on record. The number of turtles and the quality of their habitat cannot be in dispute given the conditions set out within the Renewable Energy Approval. The ERT resumes on Thursday, Nov. 12, 10 a.m. at the Essroc Centre, Wellington. On Day Three of the Environmental Review Tribunal (ERT) John Hirsch, one of the appellants, and Jim Bowlby, a Participant in the appeal testified that the White Pines Wind Project will cause serious and irreversible harm to the environment. Mr. Hirsch told ERT co-chairs Marcia Valiante and Hugh Wilkins of his long-time active community involvement and interest in environmental stewardship. There is no basis in fact that avoidance measures (read: “mitigations”) by WPD to prevent serious and irreversible harm to Blanding’s turtle as this matter is still before the ERT hearing on Gilead Power’s wind project at Ostrander Point. No questions were raised to Mr. Hirsch by Sylvia Davis, counsel for the MOECC, Ministry of the Environment and Climate Change or Patrick Duffy, counsel for the approval holder / wind developer WPD. The Tribunal accepted Mr. Bowlby as qualified to give evidence as a fisheries biologist. The Tribunal noted Mr. Bowlby’s employment with the Ministry of Natural Resources and Forestry (MNRF) as a Fisheries Assessment Biologist and more recently as a Coordinator for the Lake Ontario Management Unit. Mr. Bowlby gave evidence of the presence of spawning runs of White Suckers and Northern Pike in the Black Creek tributary, which is known as an exceptionally high quality spawning habitat. White Suckers spawn within 120 m of a proposed access road and transmission line. Northern Pike migrate downstream of the REA area but these pike are dependent on streamflow that originates within the REA area. Mr. Bowlby gave his opinion that if road and transmission line construction disrupts the aquifer supplying water to this stream and reduces streamflow, then the fish habitat and fish spawning in the stream will suffer serious and irreversible harm. While Mr. Duffy might contend that the White Pines Wind Project is totally different than the Ostrander Point Wind Project and not only with respect to size, the process that ended with the approvals of these projects hasn’t changed. As Mr. Hirsch summed up today: “Quite simply, the entire conclusion by the MOECC that serious and irreversible harm will not be caused. . .is based on four MNRF (Ministry of Natural Resources and Forestry) sign-off letters and highly questionable and biased reporting by the approval-holder’s consultant, Stantec.” This statement is as accurate now as it would have been three years ago. APPEC counsel Eric Gillespie followed up the second ruling by presenting a motion for adjournment. He said there would be a need to assess Crowley’s and Pitt’s documents and perhaps to call more witnesses as a result of the evidence. Therefore, he proposed that the environmental case (or part of APPEC’s appeal) be adjourned till January and the health case rescheduled to precede it. While Sylvia Davis, counsel for the Ministry of Environment and Climate Change (MOECC), took no position on the motion, Patrick Duffy, counsel for approval holder/wind developer WPD, opposed it vigorously. He argued that the ERT had already been delayed and that the two MNRF witnesses could readily be accommodated in the current schedule. After an early and long lunch break the ERT panel dismissed the motion to adjourn without citing reasons. The panel directed the Parties to deal with the issue of the order in which witnesses will appear. This was complicated by the uncertainties of when MNRF witnesses would provide documents, how long MOECC would take for document review, and how much time APPEC experts would need to examine them. The ERT next focused on a motion from WPD’s counsel to strike the Witness Statements of APPEC witnesses Dr. Michael Hutchins of the American Bird Conservancy and Bill Evans, who testified at the Ostrander Point ERT. Duffy cited case law to support his contention that it was too late to bring in these witnesses. In his submissions Eric Gillespie questioned how WPD could raise issues about proposed APPEC witnesses when it has not yet provided its own complete list, such as its hydrology expert. He also argued that Mr. Duffy is reviewing Witness Statements not thus far filed as evidence. Most importantly, the appellants had no notice of any kind that this motion was going to be brought today. He asked why WPD did not have to follow the same Tribunal rules as the appellants have been doing. After taking a recess to consider the submissions the ERT panel clarified that all Parties had previously agreed to discuss Mr. Duffy’s motion today. Mr. Gillespie stated for the record that the motion to have been discussed was not the motion now being put forward, and that the appellants were hearing this motion for the first time. The ERT ordered that the motion, evidence and all authorities be provided in writing. he second day concluded with a short discussion on schedules moving forward. On Wednesday the ERT will hear Opening Statements from the Parties and Presenters. These will conclude the hearings for this week. The ERT will conduct a Site Visit on Monday, Nov. 9. If Day One is any indication, the White Pines appeal will be as contentious as Ostrander Point’s. Even before opening statements the Environmental Review Tribunal (ERT) consisting of co-chairs Marcia Valiante and Hugh Wilkins, heard motions that may require an adjournment of the proceedings. Eric Gillespie, counsel for APPEC, asked the ERT to summon two staff members of the Ministry of Natural Resources and Forestry (MNRF) and to order production of all materials related to White Pines permits approved under the Endangered Species Act (ESA). The request derived from similar disclosures and witnesses in the Ostrander Point appeal that have raised doubts about the integrity of the MNRF’s process for assessing risk to endangered species like the Blanding’s turtle. Gillespie believes that testimony is relevant and necessary from Joe Crowley, the MNRF’s expert on reptiles and turtles, and Kathleen Pitt, the MNRF manager who oversaw permitting for White Pines. He argued that an appellant has a right to all the related documents on the basic principles of justness and fairness. Four other lawyers challenged the motion: Sylvia Davis and Andrew Weretelnyck representing the Ministry of Environment and Climate Change (MOECC), Sunny Zhai for MNRF, and Patrick Duffy for approval holder/wind developer WPD. They questioned the timing of the motion at this stage, the broad scope of the materials and the difficulty of timely production, the focus of the materials on ESA permits rather the Renewal Energy Approval (REA) under appeal, and the overall need for such evidence, some of it dealing with Ostrander Point, when APPEC was calling its own expert witnesses. Duffy went so far as to accuse Gillespie of “bad faith” in using a delaying tactic. In rebuttal, Gillespie pointed out that the ERT had been informed in September about the potential, but the need only became clear and imperative after documents were disclosed at the Ostrander appeal last week. Since much of the White Pines project adjoins Ostrander Point, Blanding’s turtles would also be harmed by White Pines access roads because experts had agreed that the turtles range over “the wetland complexes along the whole south shore and as far as six kilometers inland.” Gillespie therefore wondered how the White Pines ERT could choose not to follow the ruling of the Ostrander Point panel when the situations were so similar. John Hirsch, the initial appellant of the White Pines REA, supported Gillespie’s motion by asking the ERT to consider why the MNRF, curiously, didn’t require an ESA permit for Blanding’s turtles which would be harmed by the White Pines project. The hearing concluded with the ERT panel seeking comments on the scope of a production order and the probable timelines for witness preparation. A ruling on the motions will be given when the hearing resumes on November 3 at 10 a.m. in the Essroc Centre, Wellington. The Environmental Review Tribunal hearing for wpd’s 27-turbine White Pines Wind Project begins Monday, November 2 at 10 a.m. The hearing will continue daily until Thursday (no hearing on Friday). The tentative schedule has APPEC expert witnesses Kari Gunson, Dr. Shawn Smallwood, Dr. Michael Hutchins and Dr. Brock Fenton will be testifying throughout the first week that the White Pines Wind Project will cause serious and irreversible harm to wildlife on the County’s south shore. The hearing is at the Wellington Essroc Arena, 111 Belleville St. in Wellington. We hope APPEC and County residences are able to attend. The Environmental Review Tribunal met this week in Wellington to consider additional requests for Presenter status and to hear a motion on the “139” heritage appeal. Kathy Felkar of the Prince Edward Point Bird Observatory (PEPtBO) advised the Tribunal that 12 wind turbines are in the South Shore Important Bird Area with another 2 turbines on its northern border. Ms. Felkar noted that PEPtBO has been collecting data for the past 15 years and that this data will be presented as evidence. 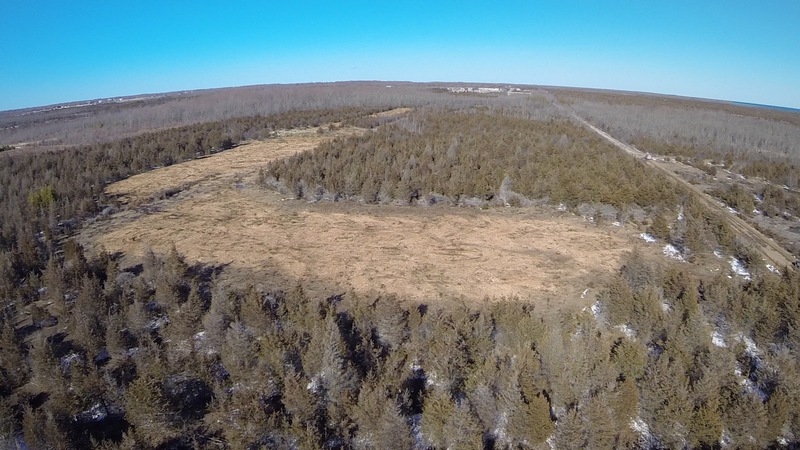 Stewart Murray of Hastings-Prince Edward Land Trust (HPELT) told the Tribunal that the Miller Family Nature Reserve, located at the centre of the White Pines Wind Project Study Area, has some of the most critical and sensitive bird habitat in Southern Ontario. Mr. Murray noted that both Nature Conservancy Canada and Ontario Heritage Trust recognize the high conservation priority of the site and assisted with funding to purchase it. In total five County residents and three groups – Hardie Wines, HPELT and PEPtBO – will provide evidence to the Tribunal that the White Pines Wind Project will cause serious harm to human health and to the natural environment. After a short break the Tribunal reconvened to deal with wpd’s appeal of the removal of two turbines (T7 and T11) from its proposed wind project. The Tribunal heard a motion from Talia Gordner, with Blaney McMurtry LLP, legal counsel acting on behalf of Liz Driver and Edwin Rowse seeking an order to stay the “139” proceeding pending the outcome of a judicial review application to the Divisional Court. Ms. Gordner noted that an order is being sought from the Court to set aside the REA for the White Pines Wind Project on the grounds of serious deficiencies in the heritage assessment and the approval process. Ms. Gordner observed that this is the first appeal under the Ontario Heritage Act since the passing of the Green Energy Act and that the Divisional Court would be an appropriate venue to consider the legal test. However Ms. Gordner noted that even from a practical standpoint it was unnecessary to have two separate proceedings dealing with the same facts. Samantha Foster with Wayne Fairbrother, legal counsel for the County of Prince Edward, supported the motion and argued for an adjournment. Patrick Duffy, lawyer for wpd White Pines Inc., argued that the motion for a stay should have been made immediately after the approval was issued in July and Andrew Weretelnyk, lawyer for the Ministry of the Environment, agreed. Hugh Wilkins, one of the Tribunal members, asked about the distinction between a stay and an adjournment. Ms. Gordner suggested that a stay is for a more lengthy delay but that the Tribunal can call it a stay or an adjournment at its discretion. The Tribunal is considering the motion and will issue a decision at a later date. 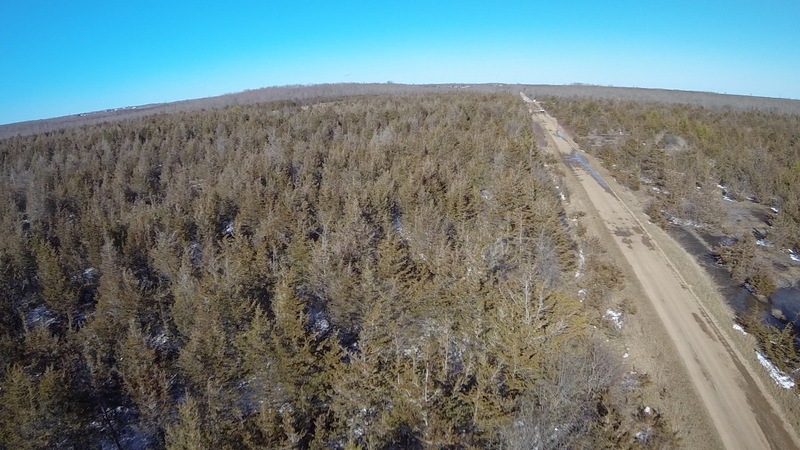 The main White Pines Wind Project ERT Hearing starts Monday, November 2nd. The first day of the legal fight to stop wpd began in an unspectacular way. Most of the day was spent on scheduling, sorting out the logistics of two appeals (wpd is appealing the removal of two turbines from its wind project) and requests for formal status at the hearing. Marsha Valiante and Hugh Wilkins, the Tribunal members, efficiently dealt with these matters. In the large, comfortable, air-conditioned room at the Essroc Arena it was sometimes easy to forget what we were there for. The only concrete reminder of the import of the proceedings was the handful of resolute PEC residents who one by one told the Tribunal about their concerns for their health and the environment and about years of futile efforts to get wpd to address their concerns. Although they were there on their own they had a sympathetic audience and the presence of Mayor Robert Quaiff and South Marysburgh Councilor Steve Ferguson provided added support. As a result of Steve Ferguson’s submission the Tribunal is providing a second Preliminary Hearing date for October 14 which will also hear motions. Furthermore wpd has been directed to deliver a new notification to residents in the project area. This came about after Mr. Ferguson advised the Tribunal that notices were sent out 2 – 3 days before the deadline expiry date to request status at the hearing. In some cases notifications were received the same day as the deadline expiry date and many residents did not receive a notification at all. Patrick Duffy, the lawyer for wpd confirmed that no residents on the 28 km transmission line were notified. The hearing start date is delayed to November 2 over the objections of wpd which wanted to keep the October start date. All residents seeking formal status at the hearing want the same outcome as APPEC. The Tribunal granted Presenter status to all of the 4 applicants. The Tribunal will allow APPEC’s interest in the “139” wpd Heritage appeal to be granted APPEC Party Status as there was no objections from MOECC and wpd council. The terms of the Party status will be documented and agreed to next week. This may be the first ERT in Ontario where the number of lawyers appealing a renewable energy approval will actually exceed the numbers of Ministry and corporate lawyers representing the interests of wind developers. APPEC lawyers Eric Gillespie and Priya Vital were joined by two lawyers from the municipality which is seeking Party Status at the hearing. Liz Driver and Edwin Rowse are also seeking Party Status and that will add to our numbers. The PEC south shore will be ably represented at this ERT. The APPEC Board thanks all who attended the hearing. If you would like to be notified of upcoming hearings please contact Mr. Paul DeMedeiro at the Environmental Review Tribunal Paul.DeMedeiros@ontario.ca. In your message be sure to note your interest in the White Pines Wind Project proceedings.